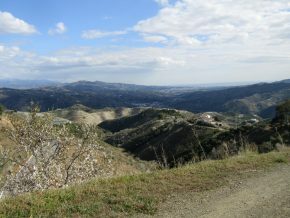 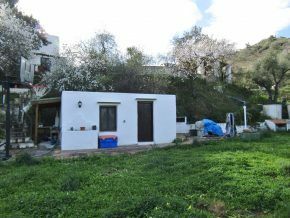 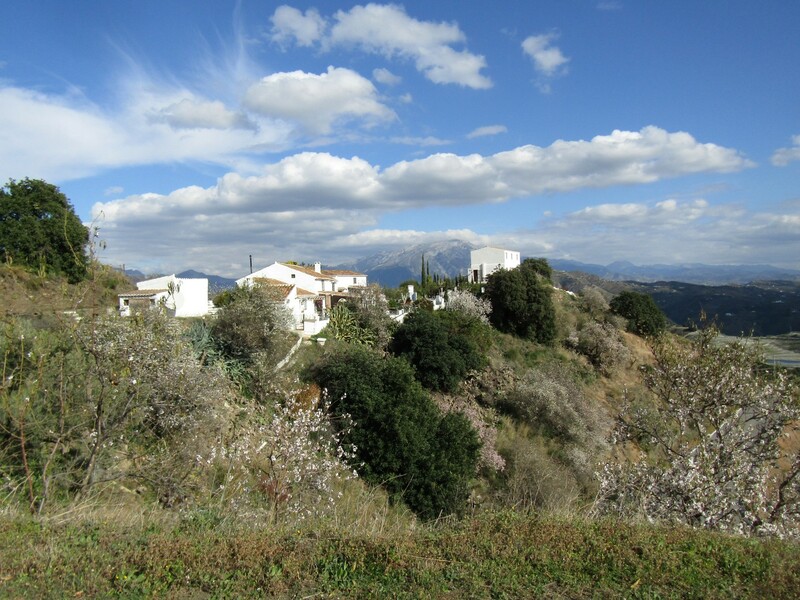 This quite unique complex is located just below the picturesque mountain village of Comares and offers lots of possibilities. 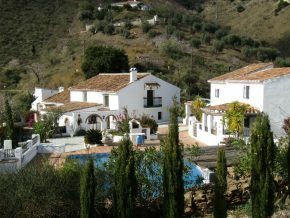 There are three detached country houses. 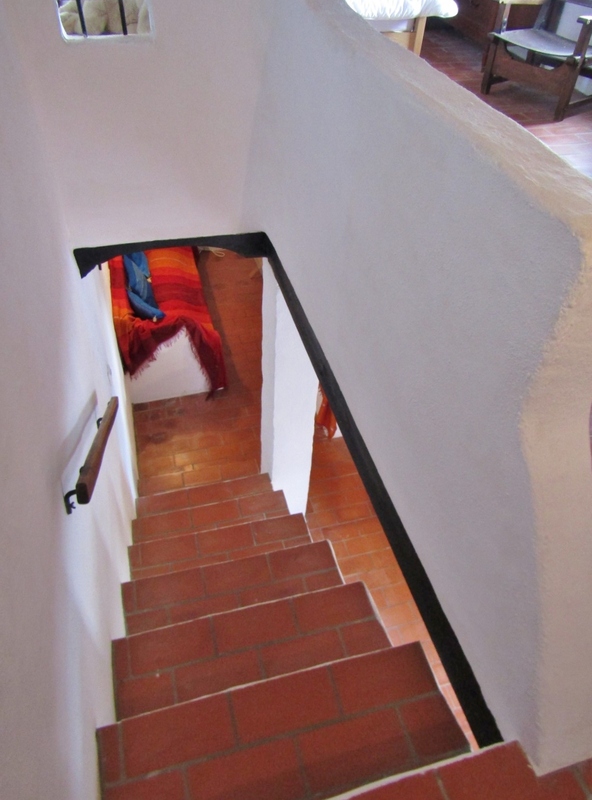 Two are located on a single plot of 9487m2, Casa de Sueños and La Cuadra. 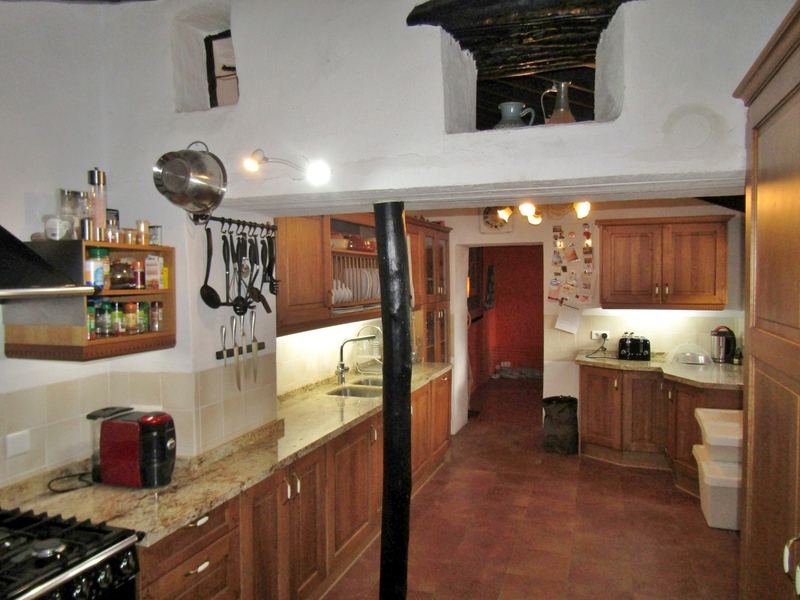 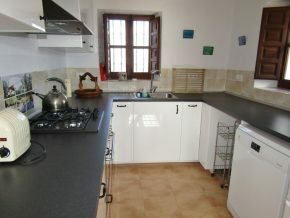 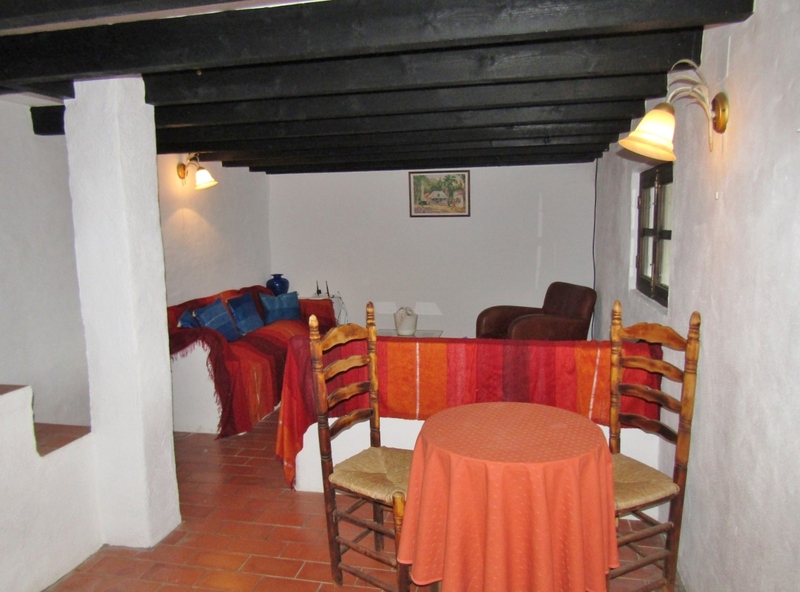 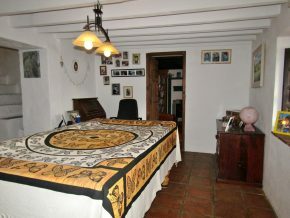 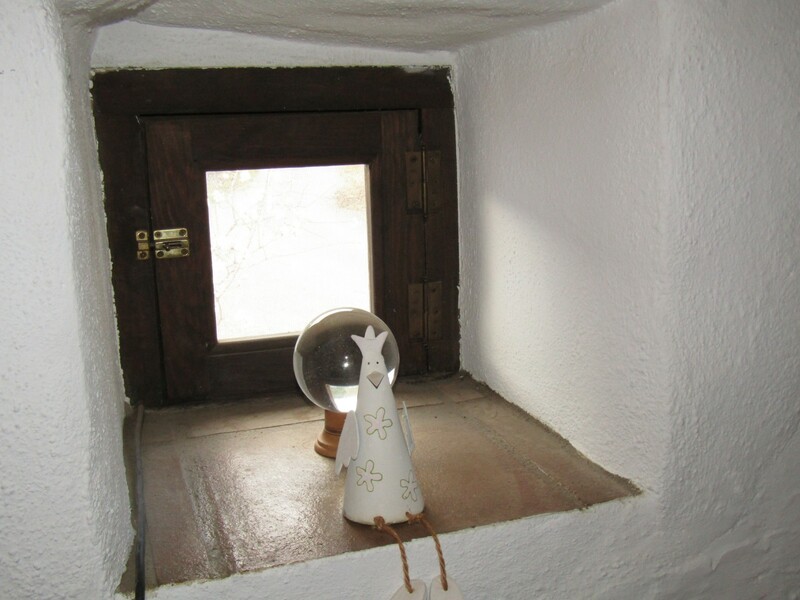 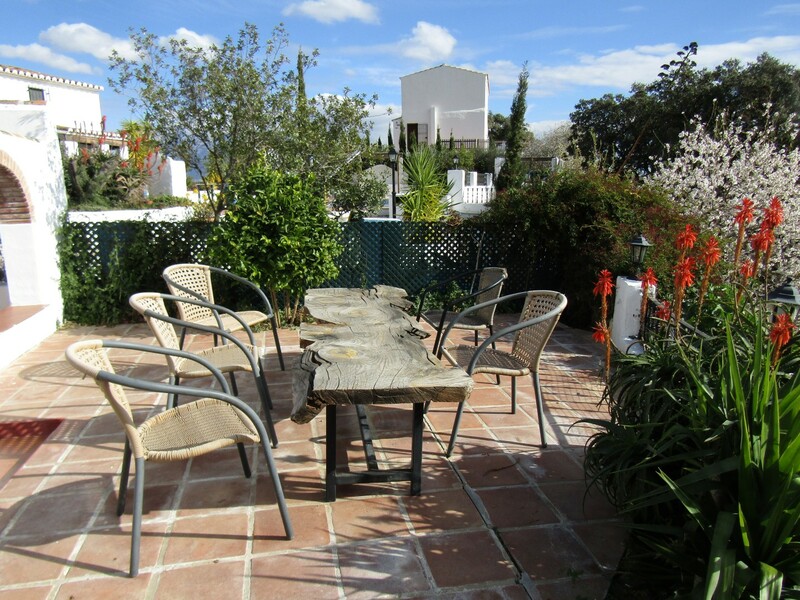 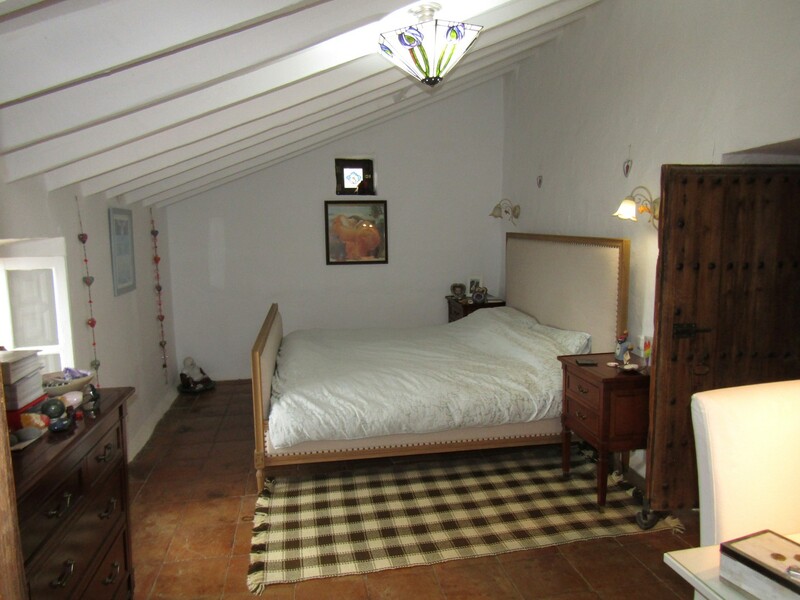 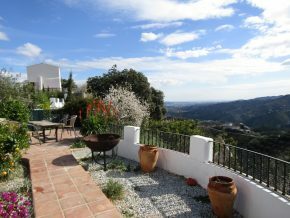 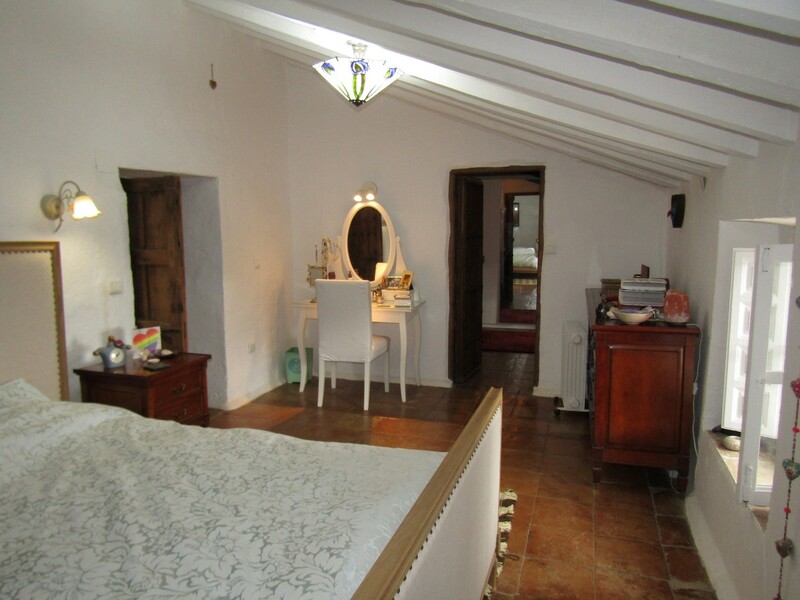 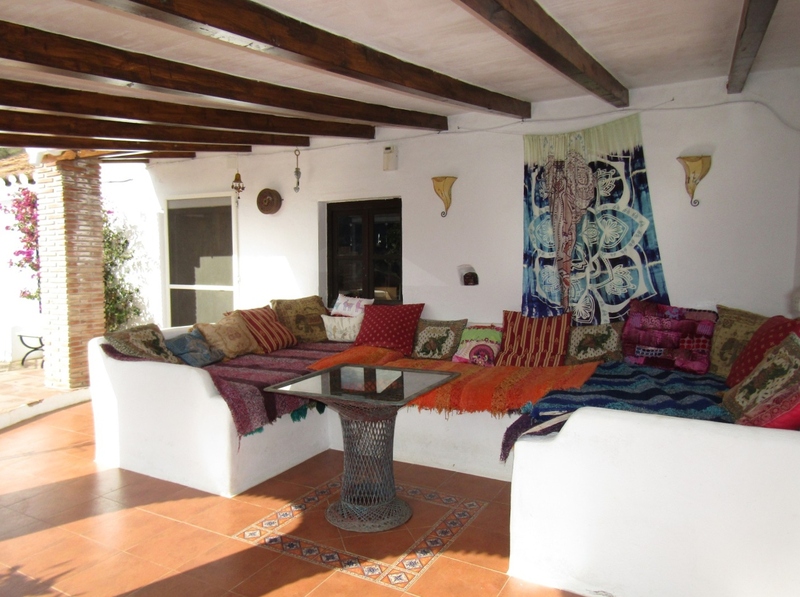 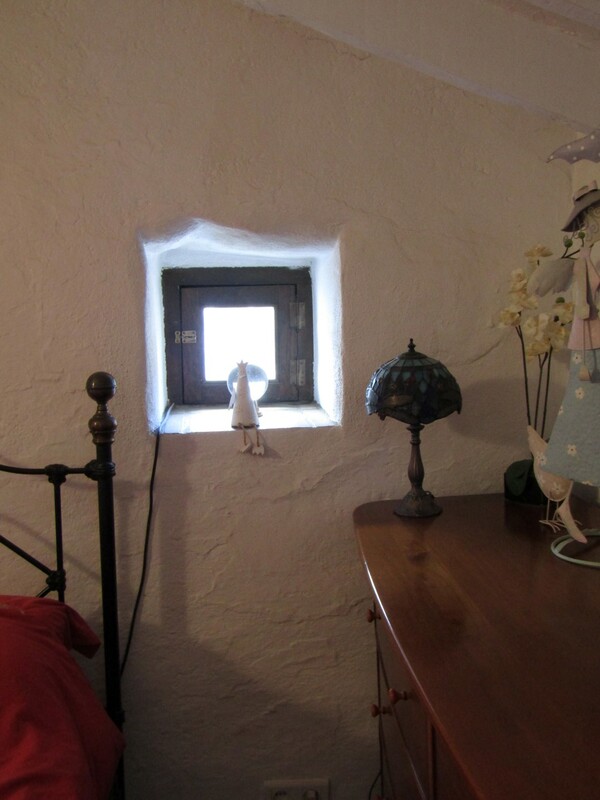 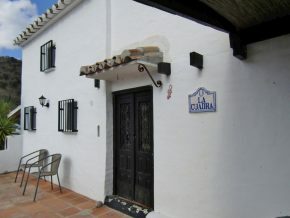 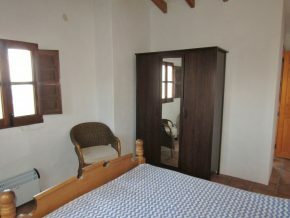 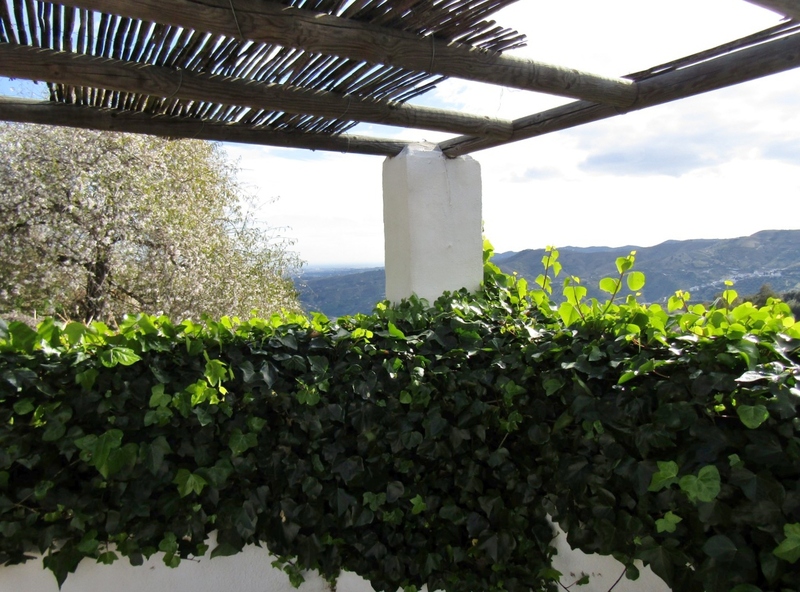 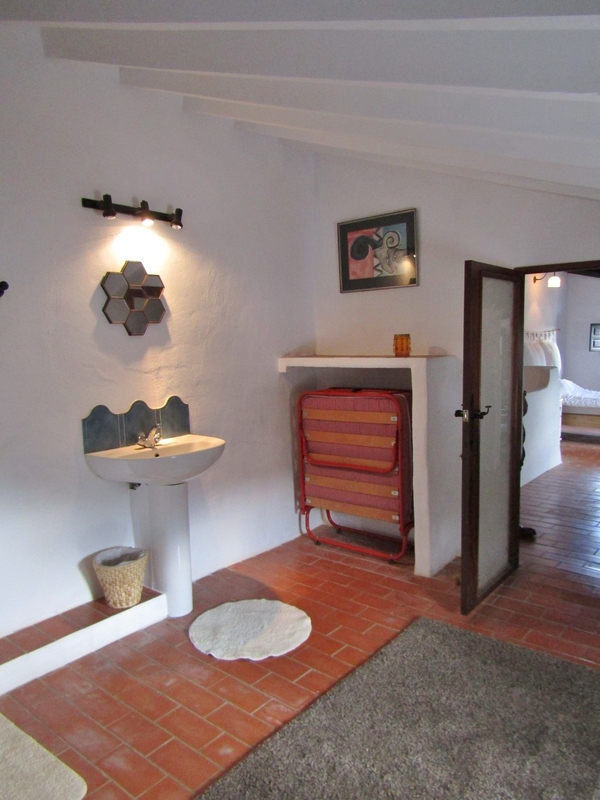 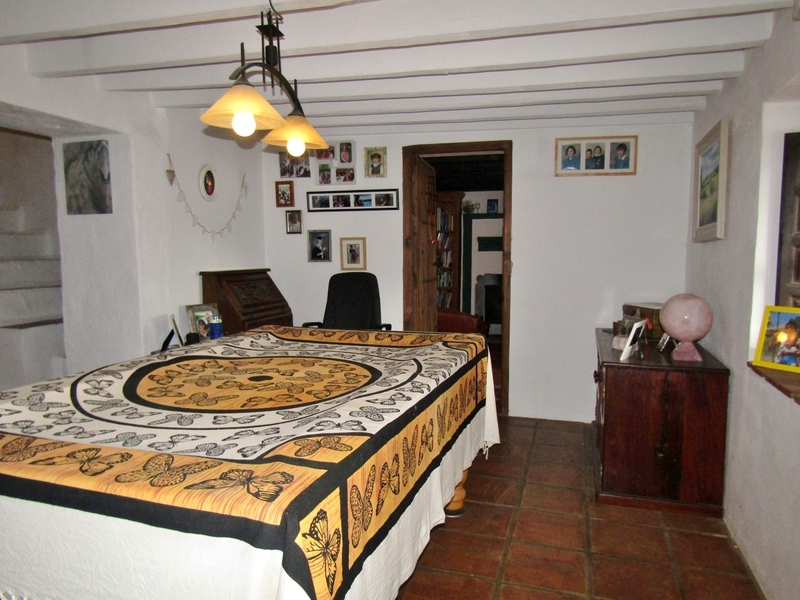 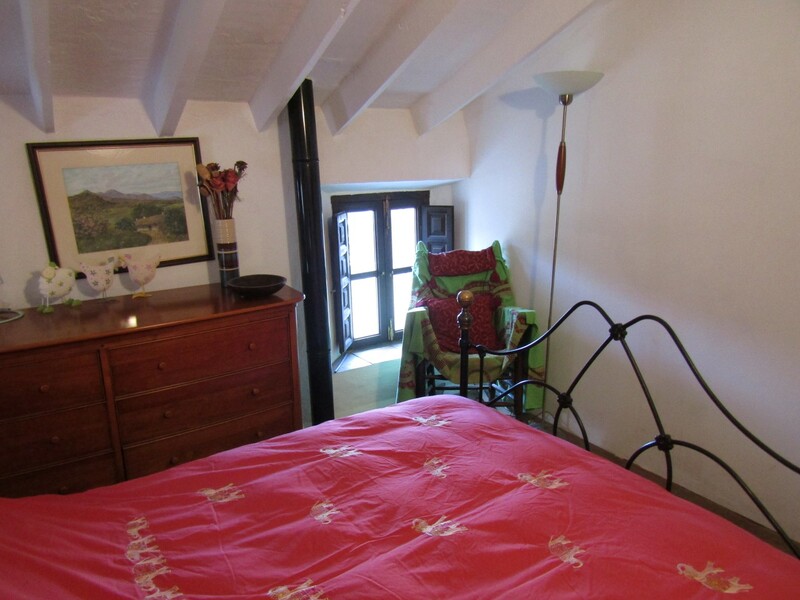 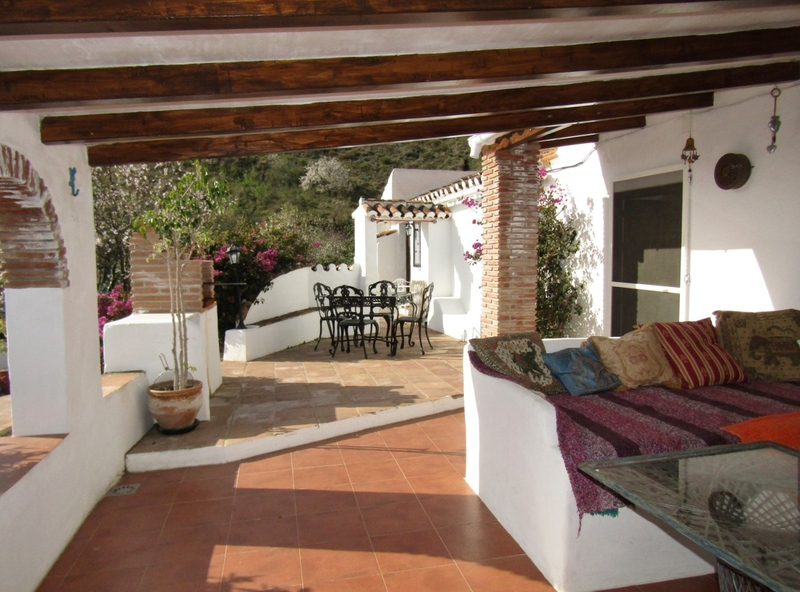 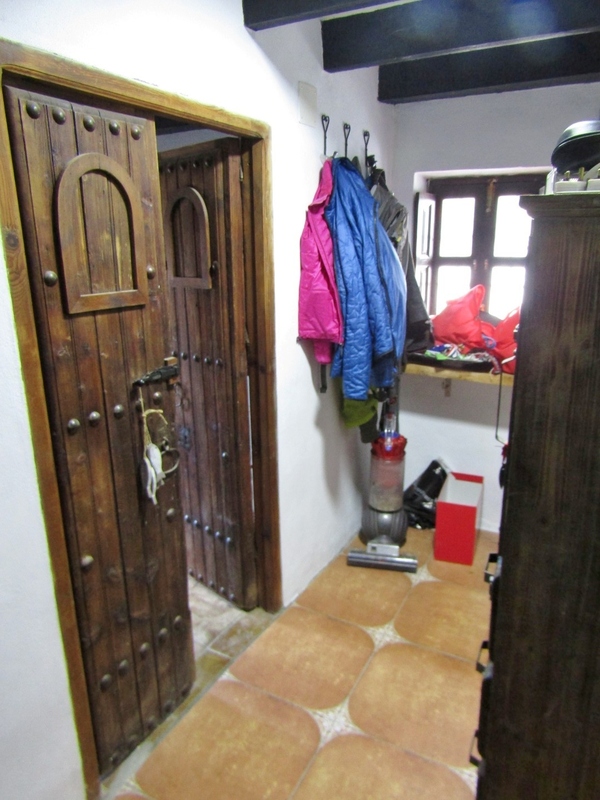 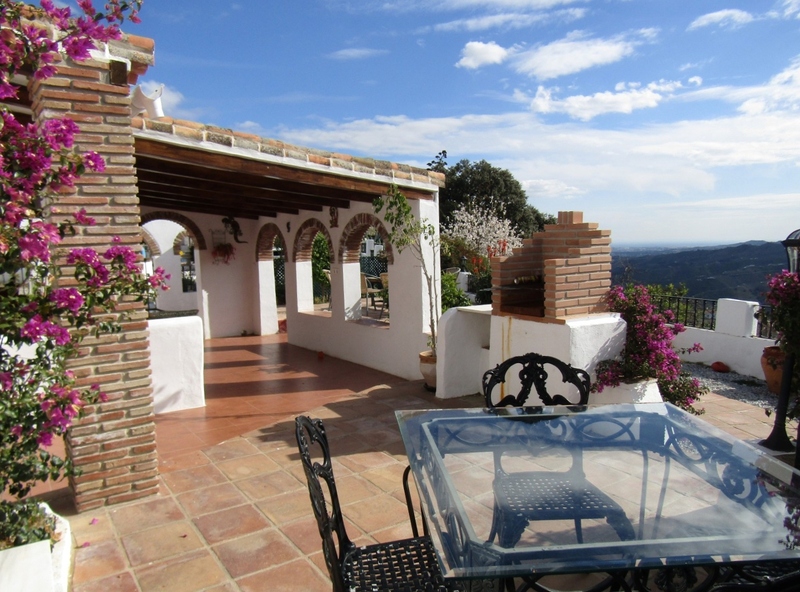 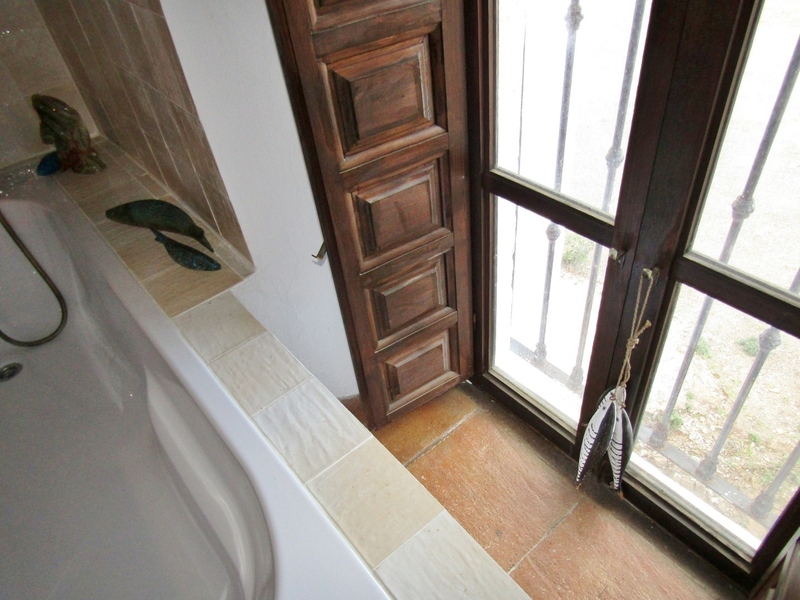 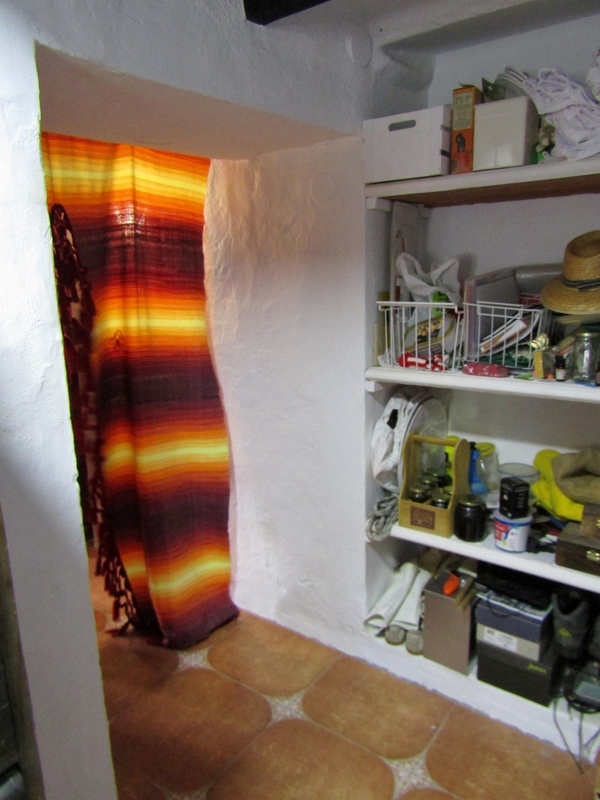 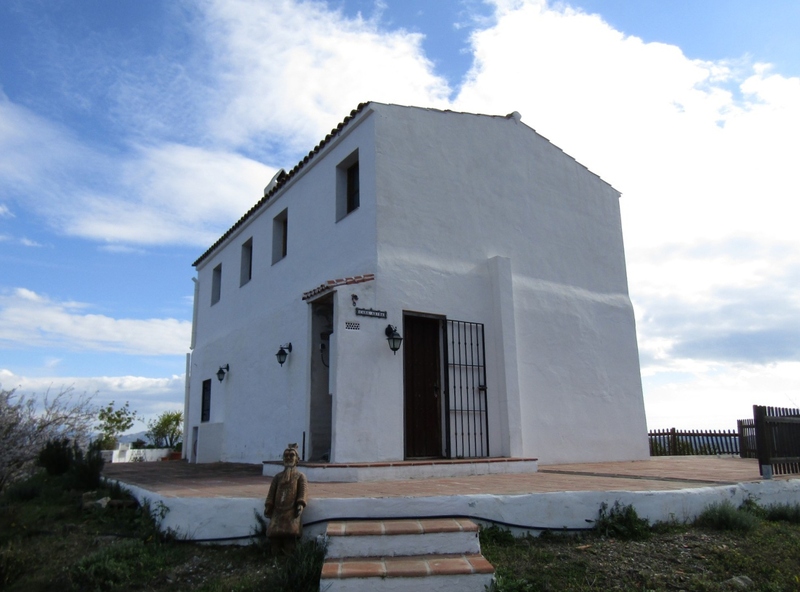 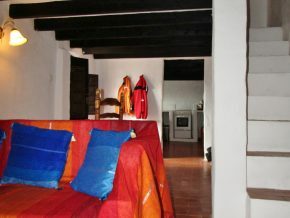 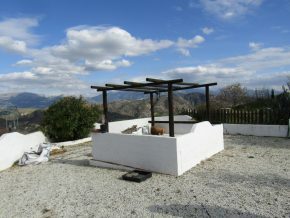 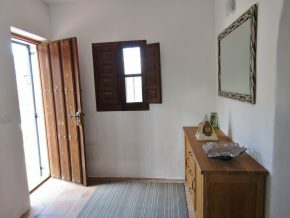 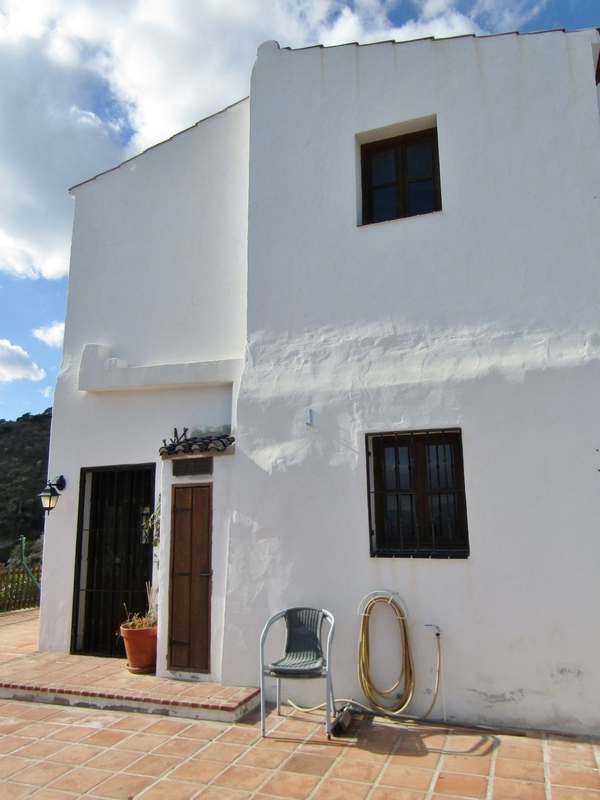 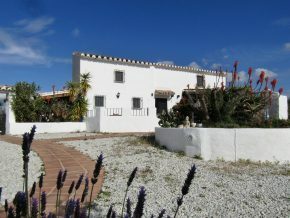 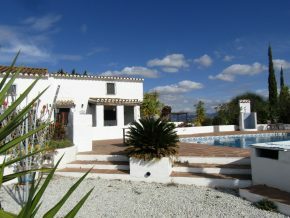 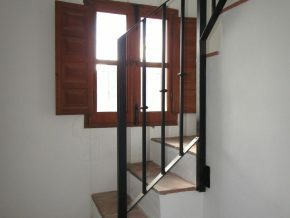 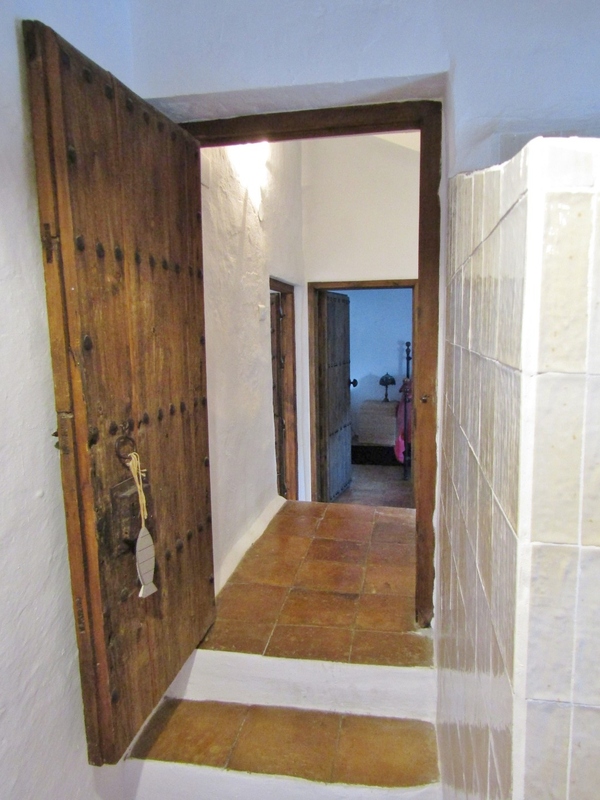 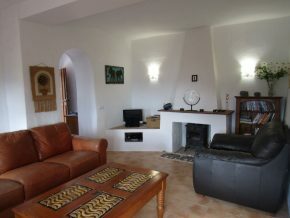 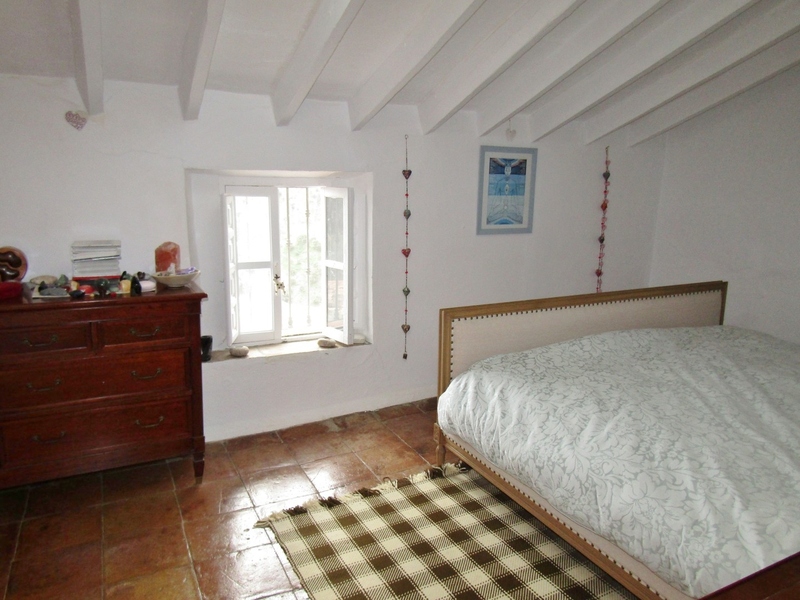 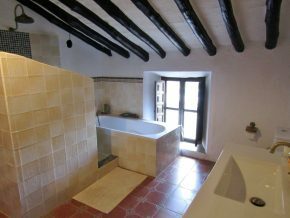 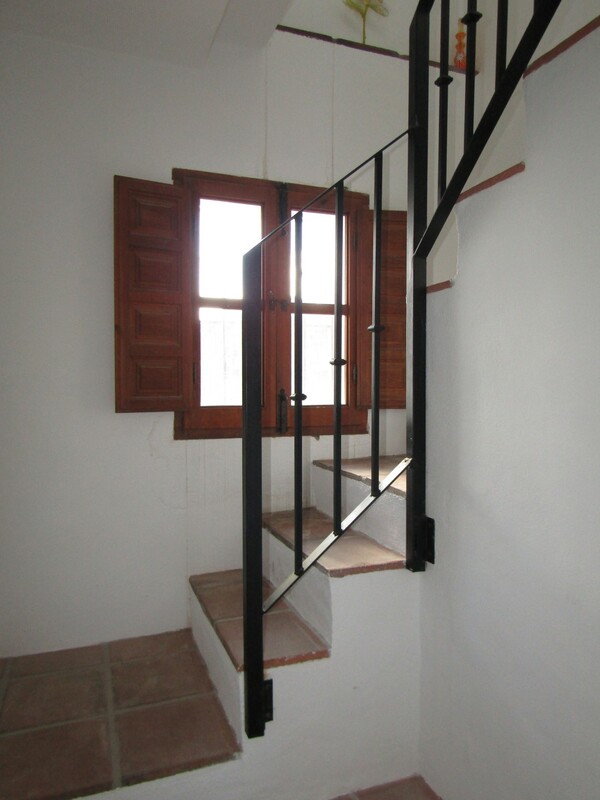 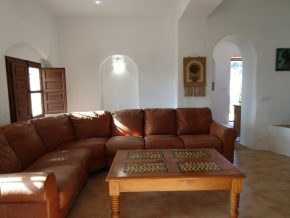 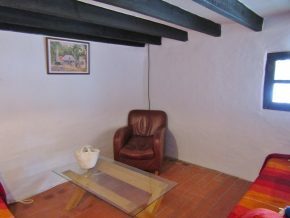 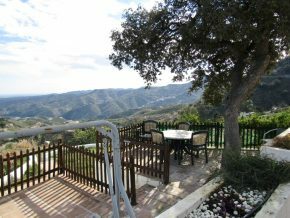 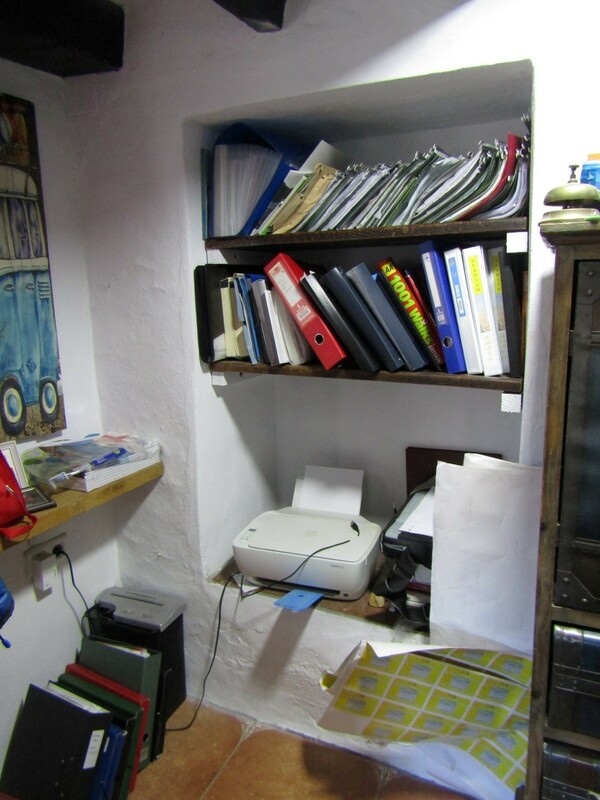 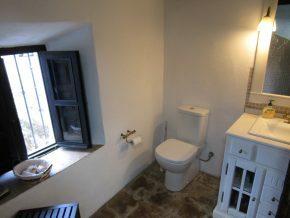 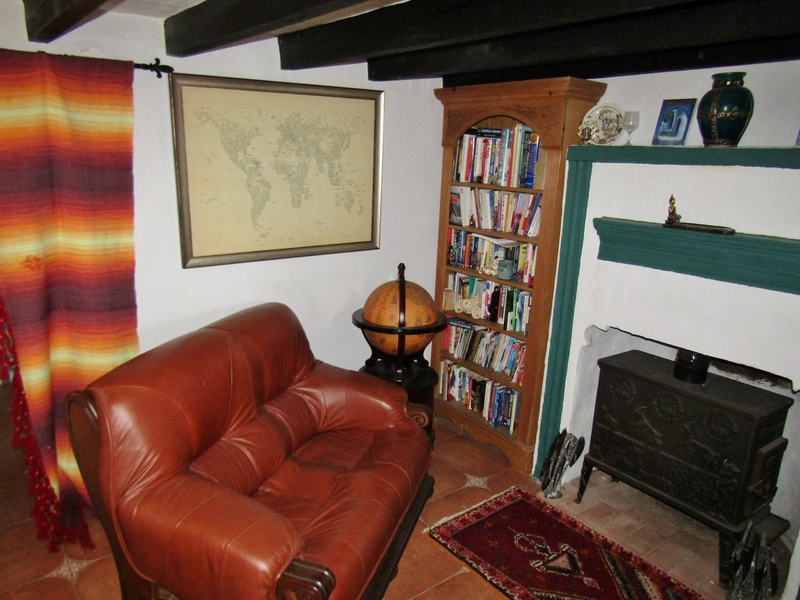 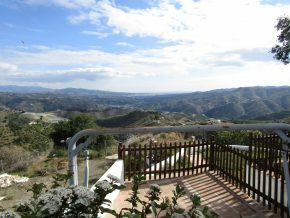 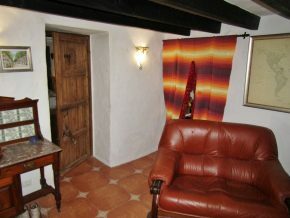 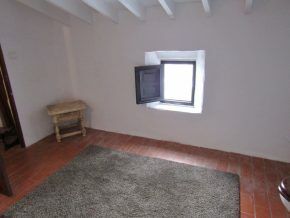 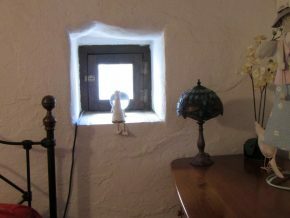 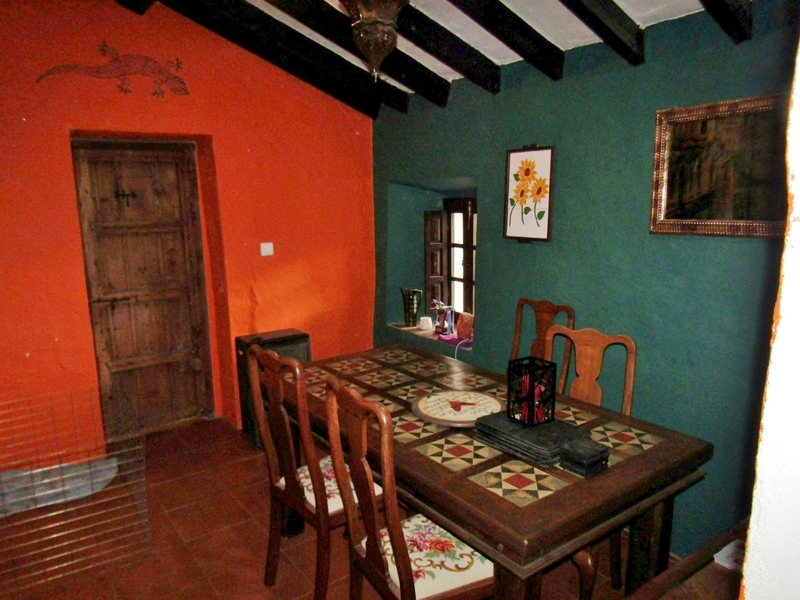 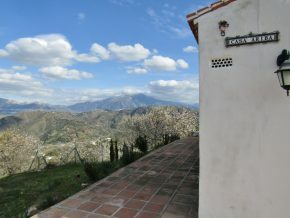 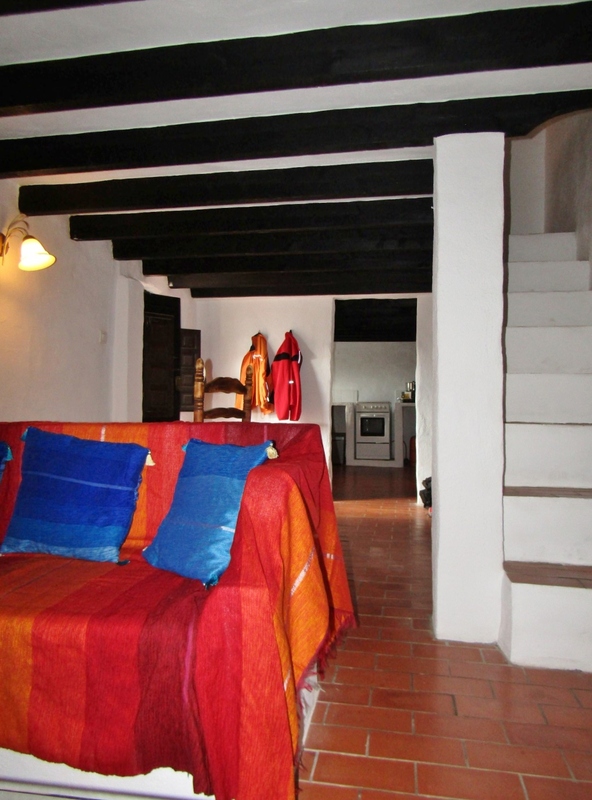 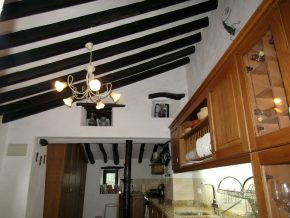 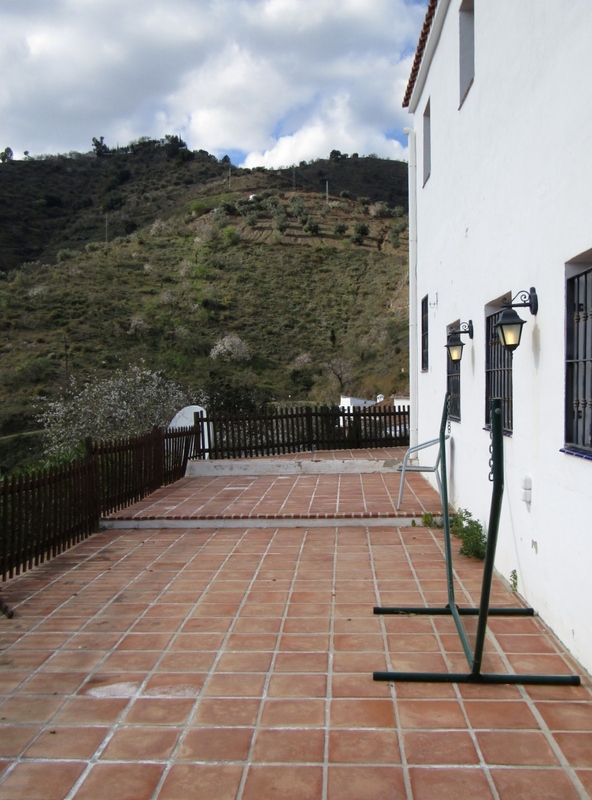 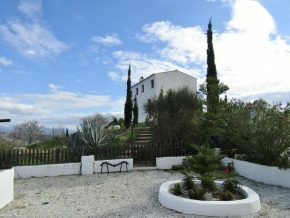 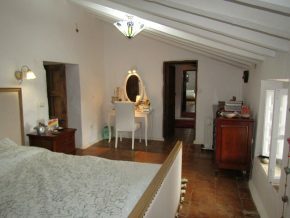 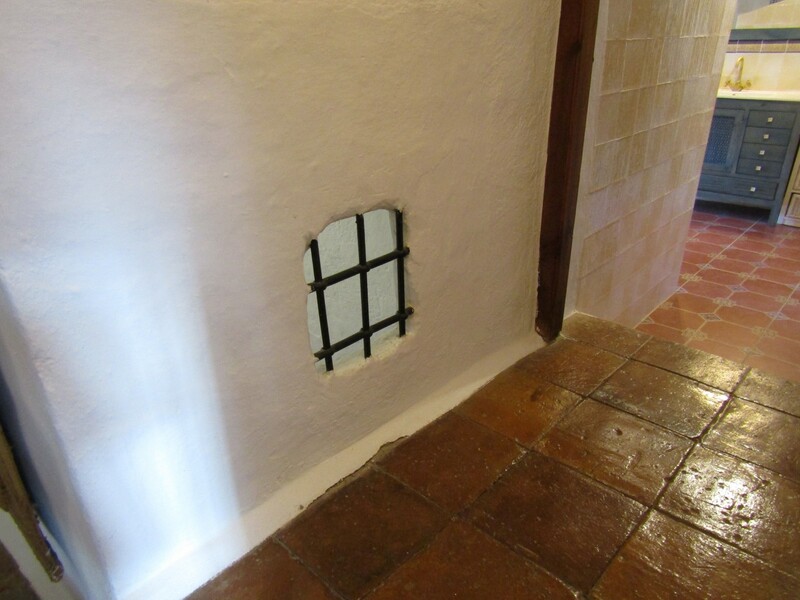 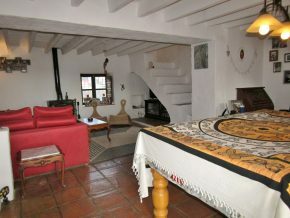 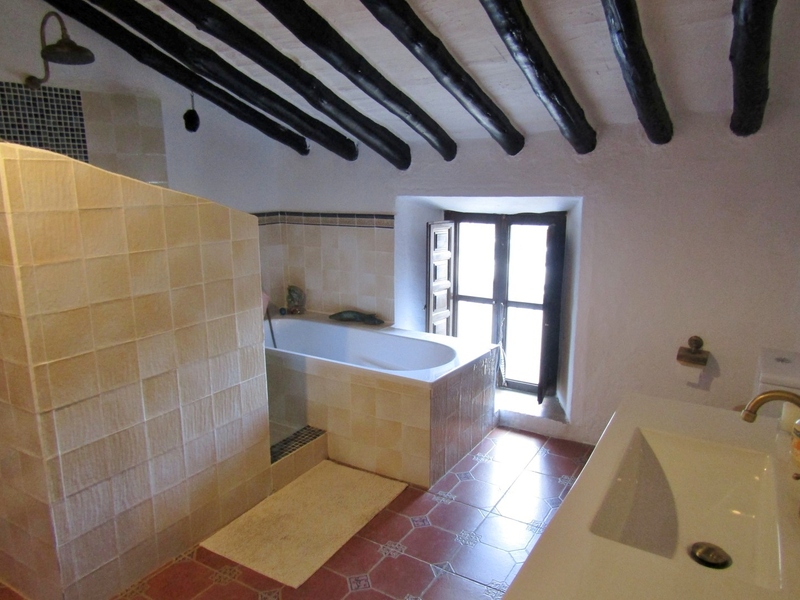 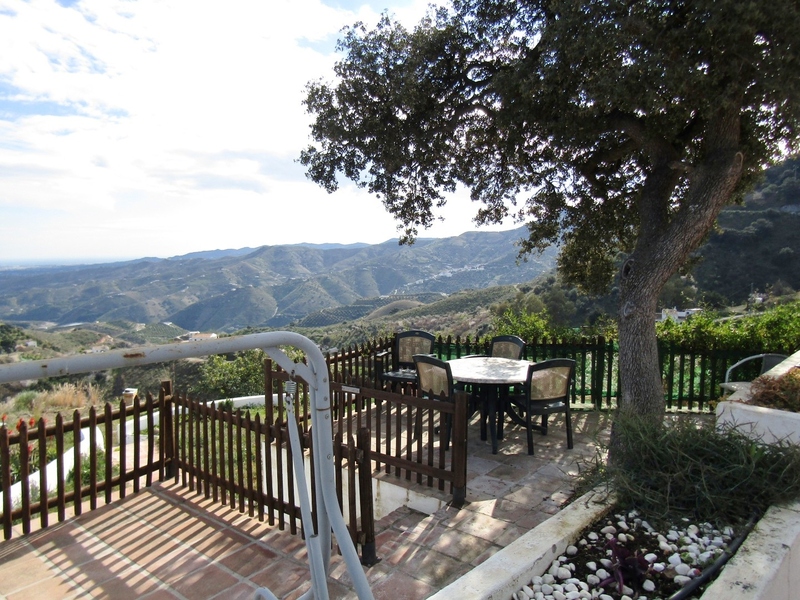 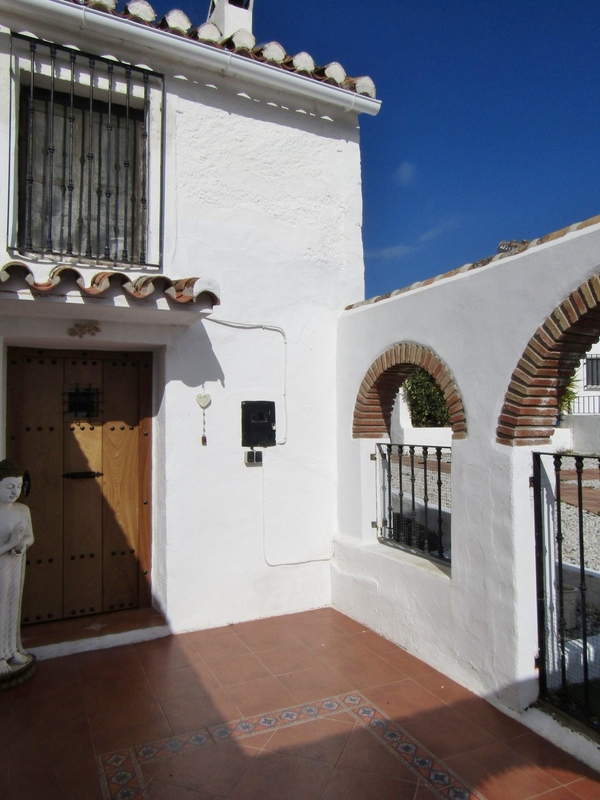 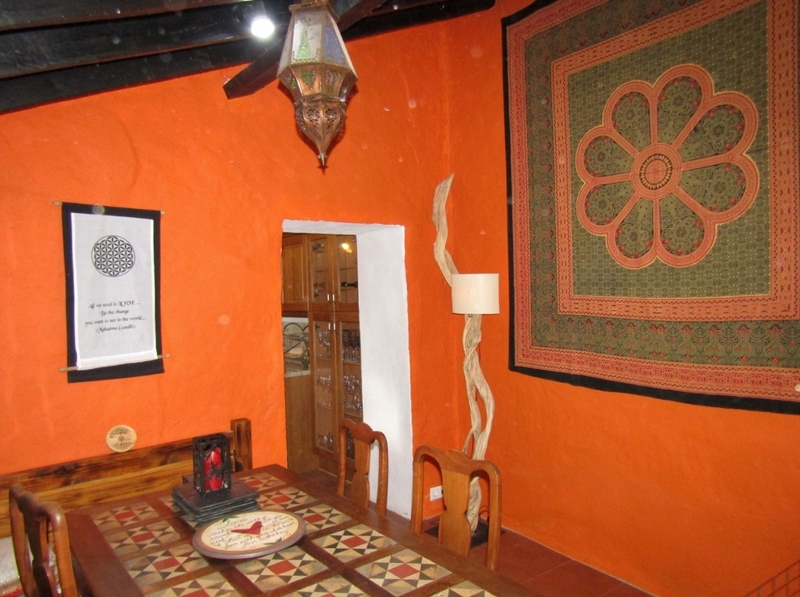 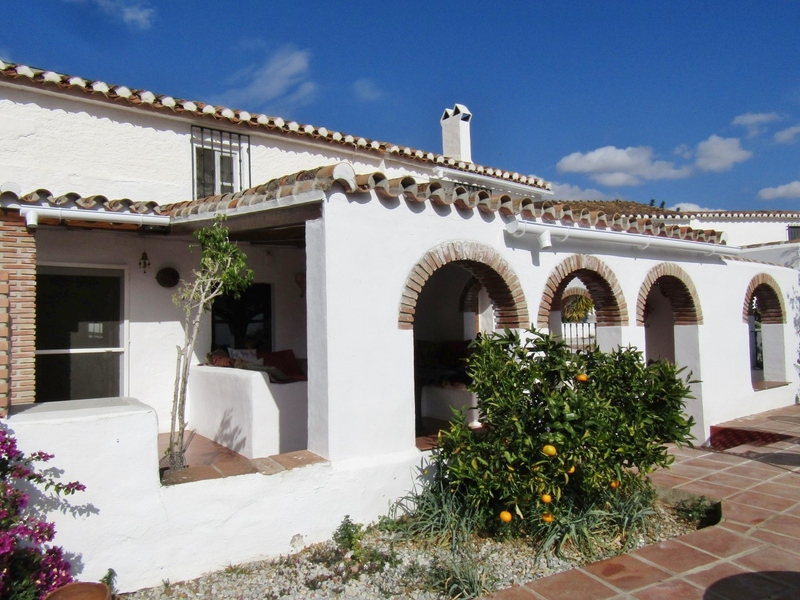 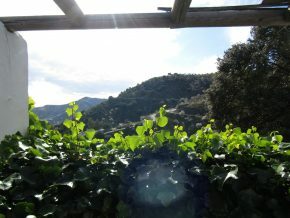 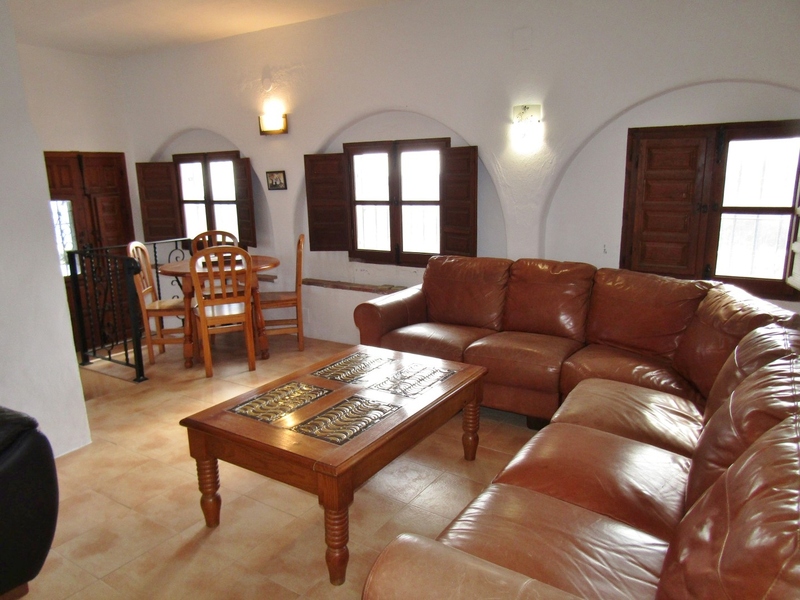 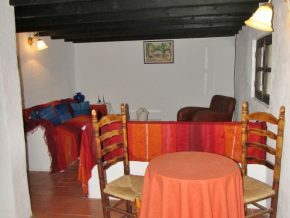 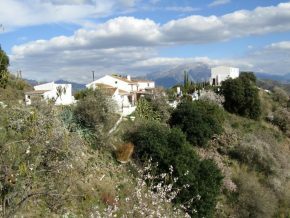 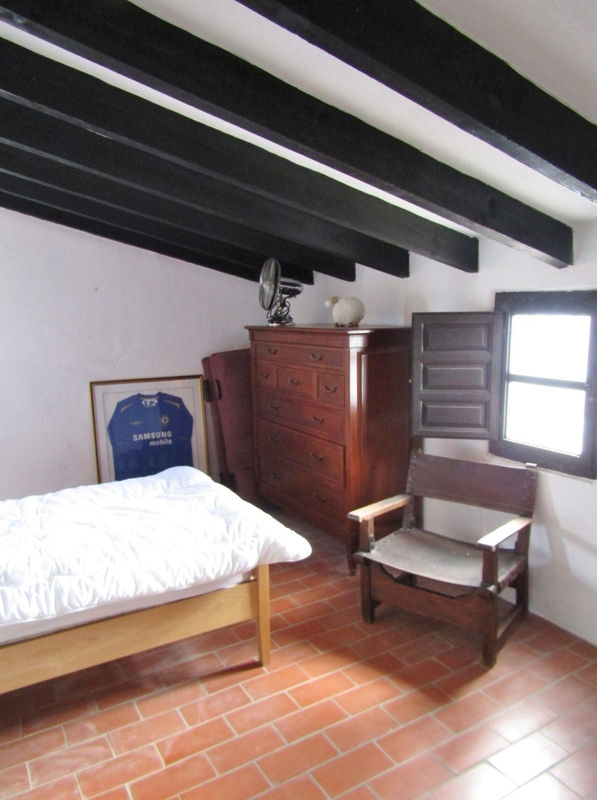 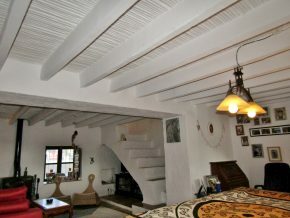 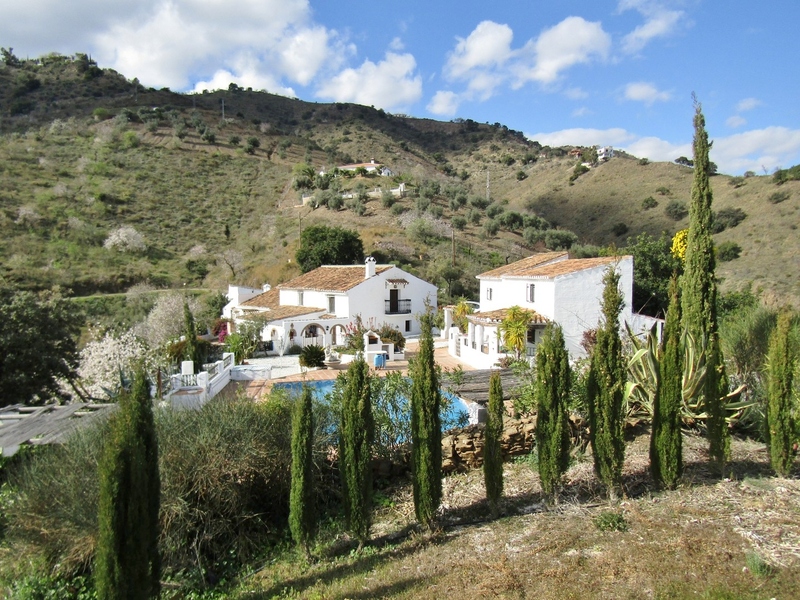 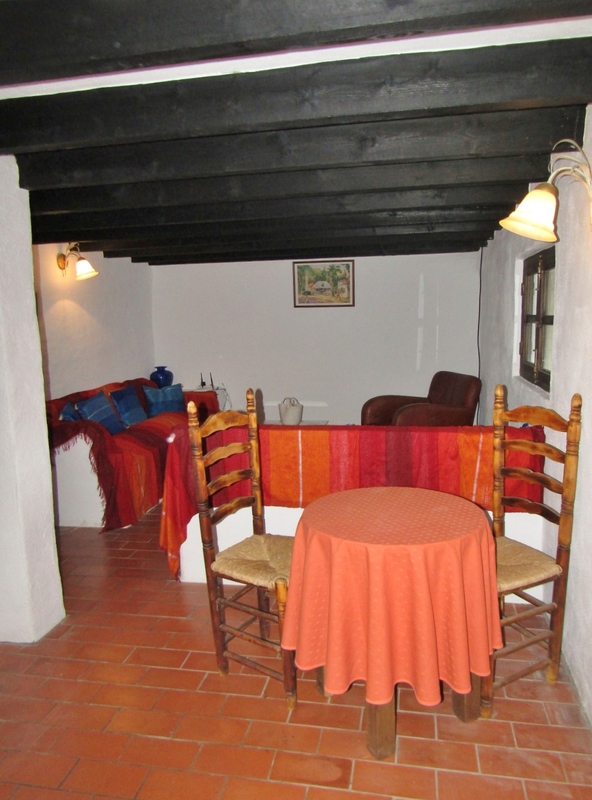 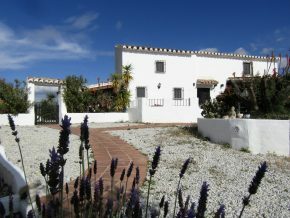 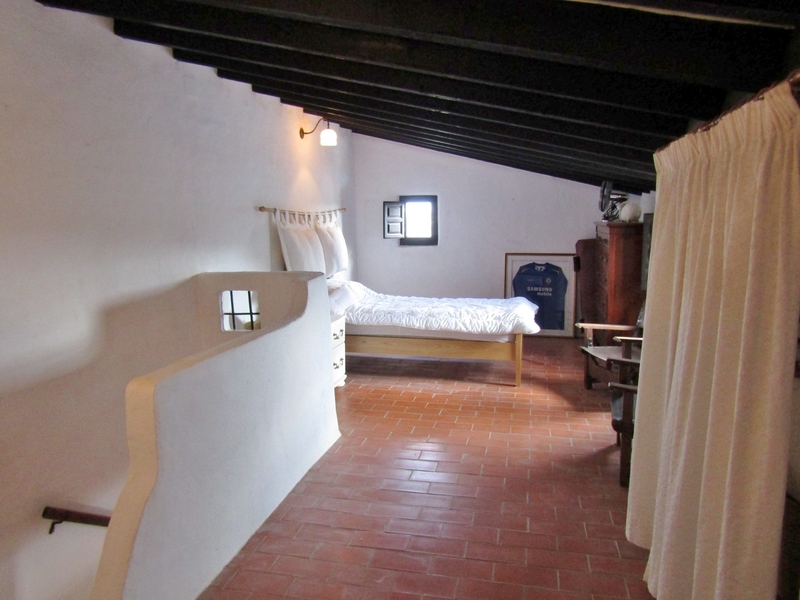 The third, Casa Arriba, has its own access and is on its own plot of 1563m2. 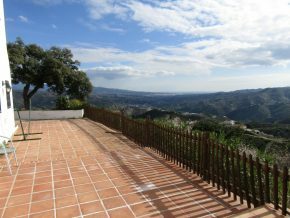 There are two additional plots with two outbuildings, and a beautiful private driveway up to the complex with an ample parking area. 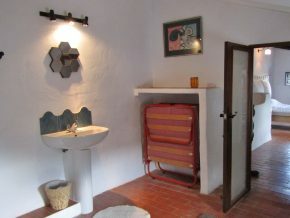 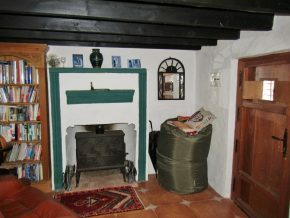 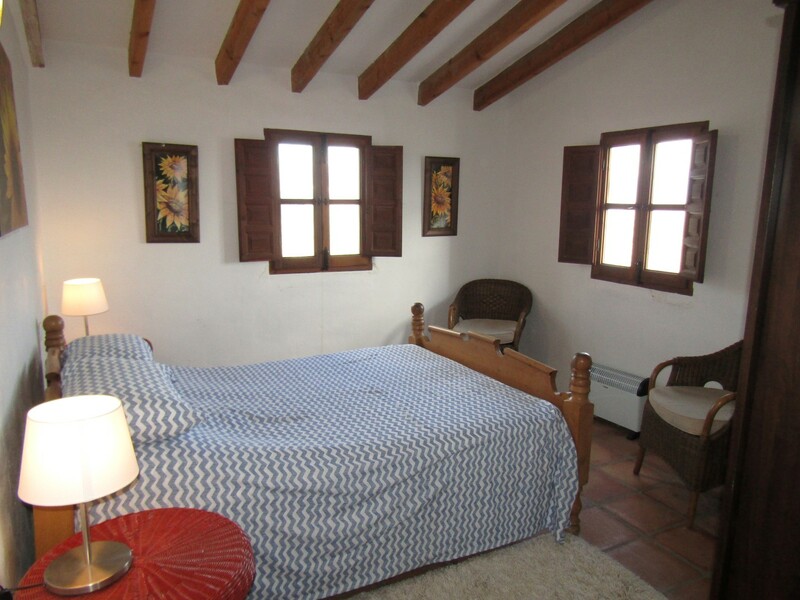 The main house, Casa de Sueños, like the others, is bursting with charm and original rustic features. 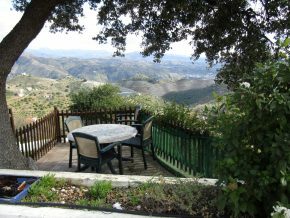 It has a simply delightful look-out terrace with wonderful views over the distant Mediterranean Sea, and the mountains, an ideal place for dining al-fresco. 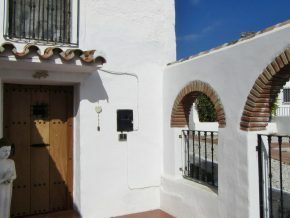 The house also has a very large covered terrace with arches and decorative brick detail, ideal too for outdoor living out of the direct sunshine. 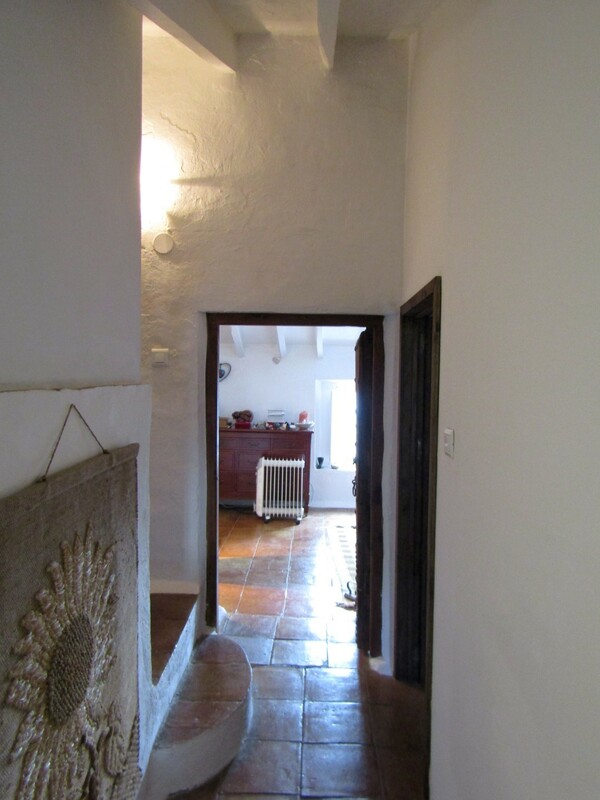 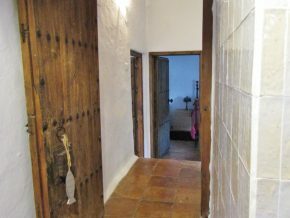 From the covered terrace, the front door leads into a hallway of 3 x 3m, and leads beyond to a small hallway, with double doors into a beautiful bathroom with a large walk-in shower, beautifully tiled and finished. Back in the hallway, a door to the left leads into the very large living room (6 x 5m) divided into two areas, currently one area of which is occupied by a pool table. 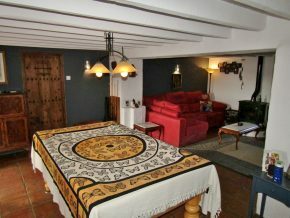 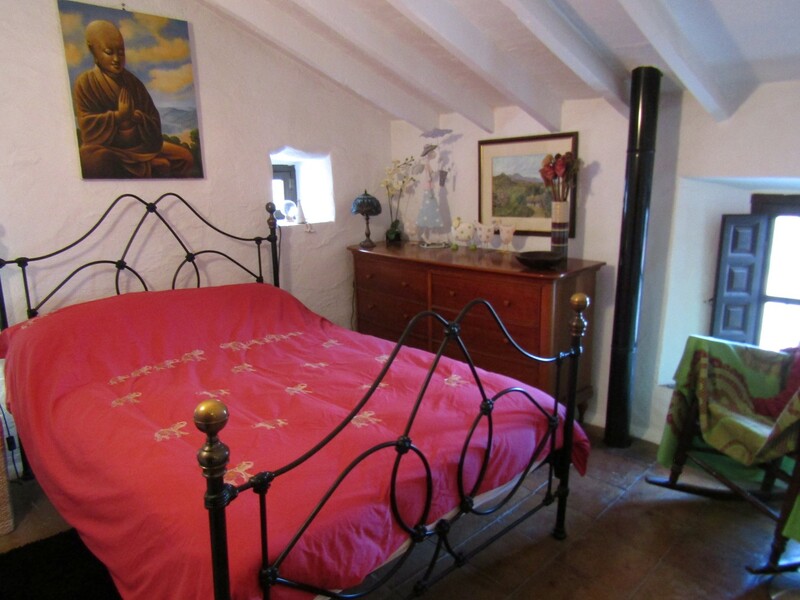 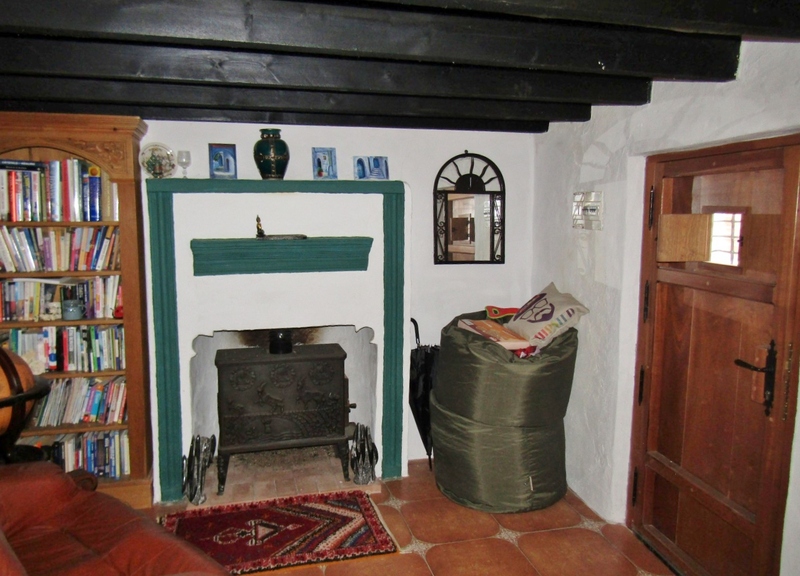 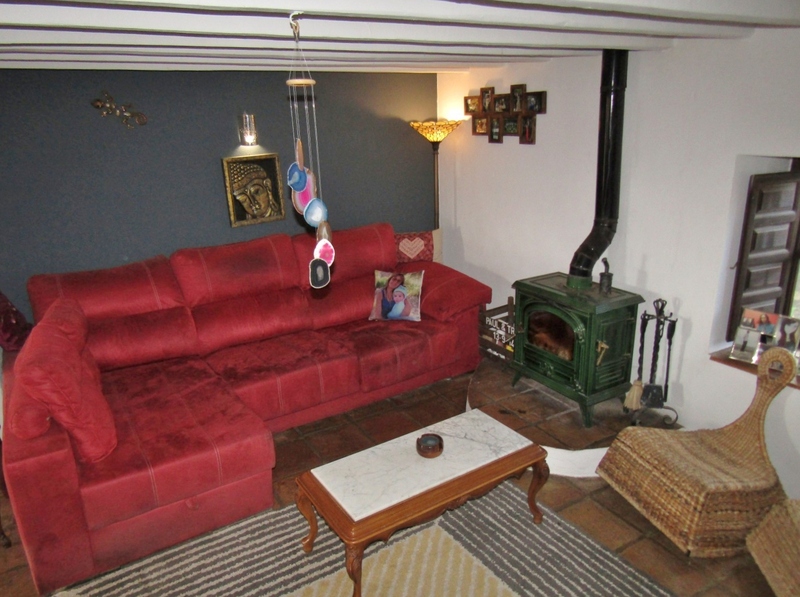 There are double doors leading out from this room to the covered terrace and the room is bursting with character, beams and rustic charm, with a wood burner at the rear. 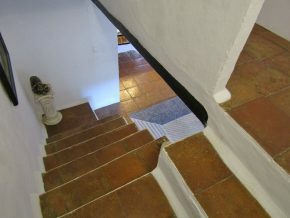 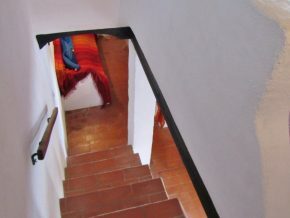 To the rear are stairs to the upper floor. 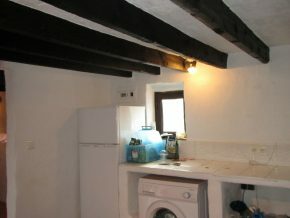 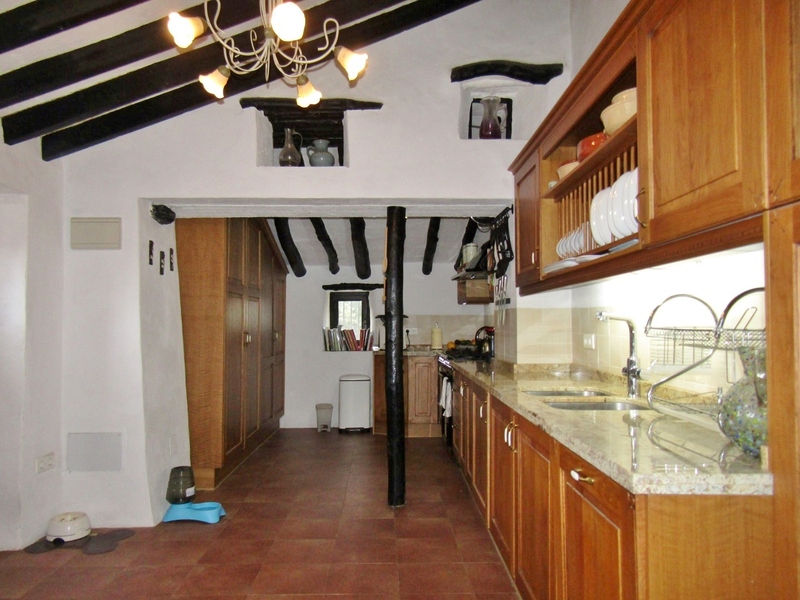 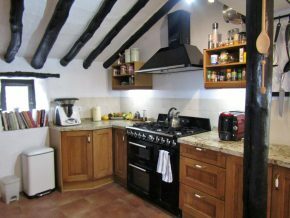 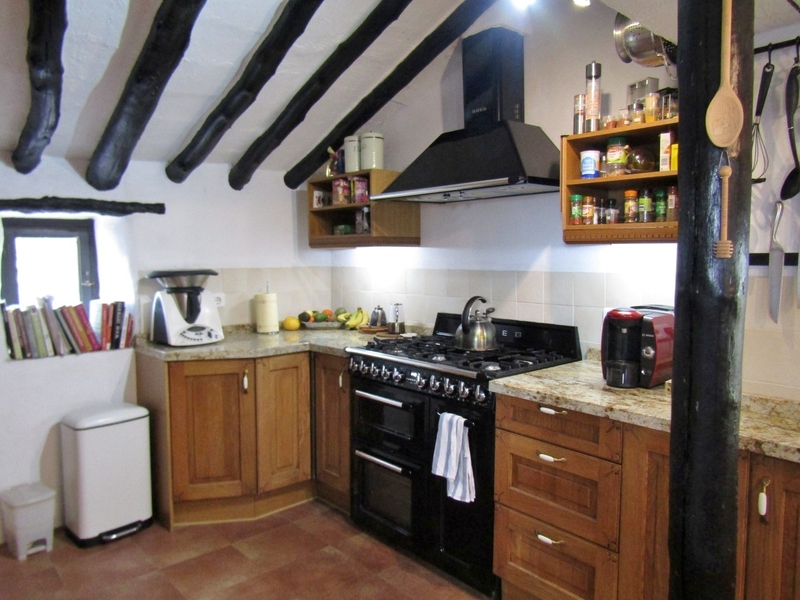 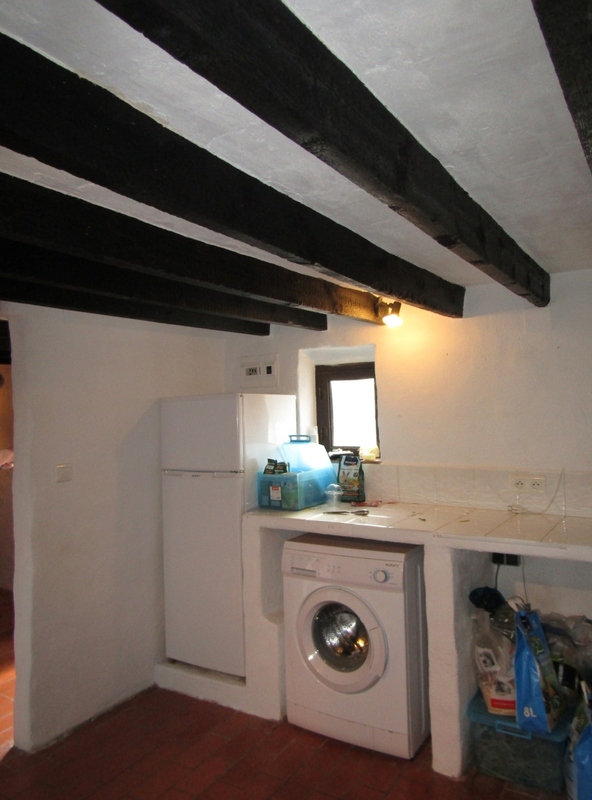 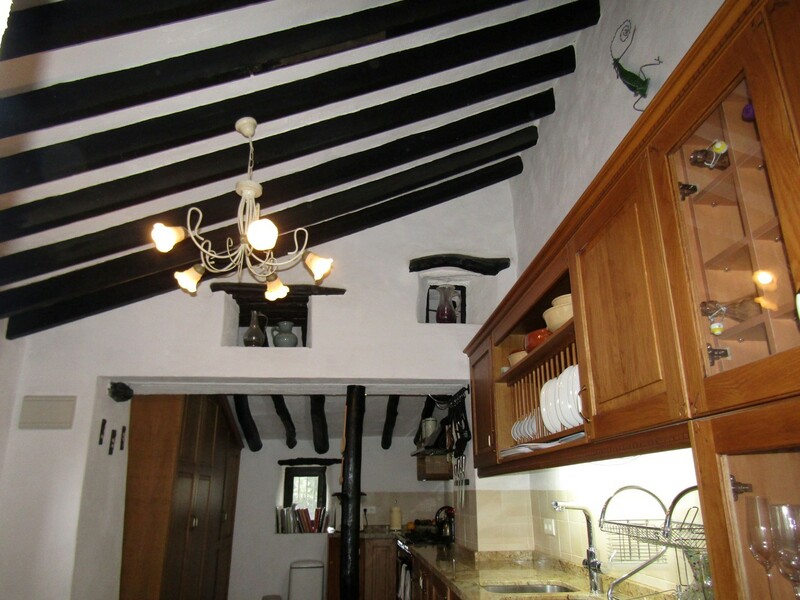 Beyond the living room is the dining room (4 x 3m) which in turn leads through to the fully fitted kitchen (6 x 3m) with a door to the outside and once again with fascinating old beams and features. 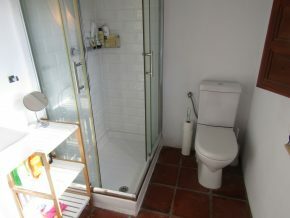 Upstairs are two bedrooms (5 x 3m and 3 x 2.5m), a large dressing room (3 x 3m), and a quite unique bathroom, with shower and a luxurious bath. 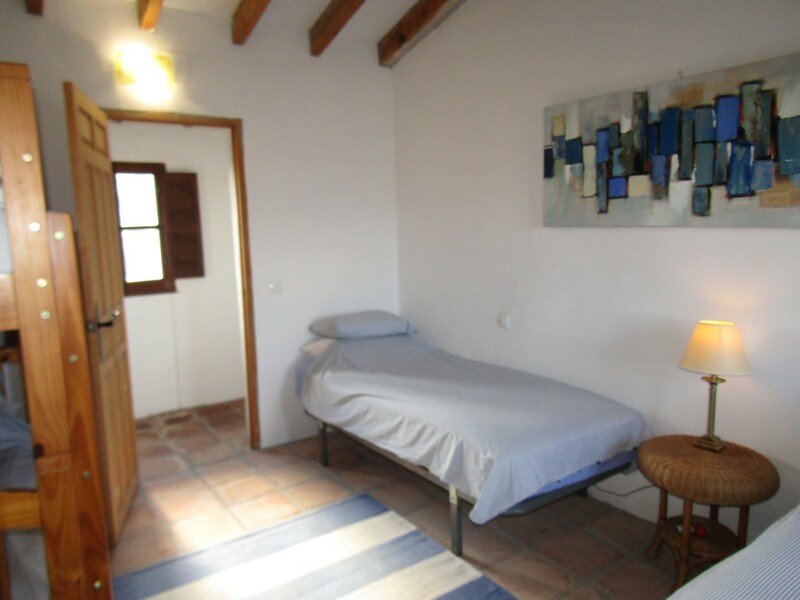 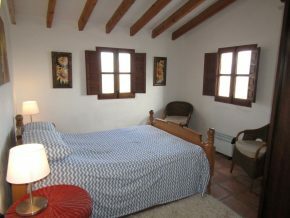 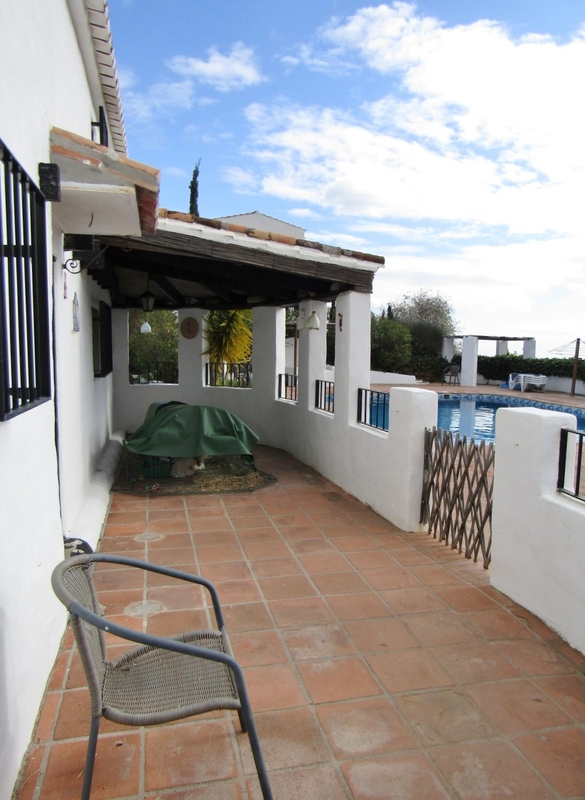 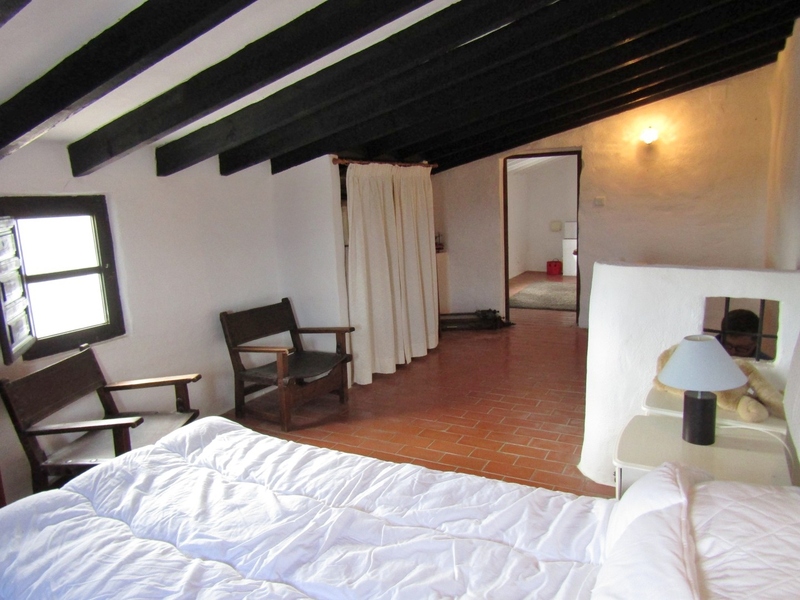 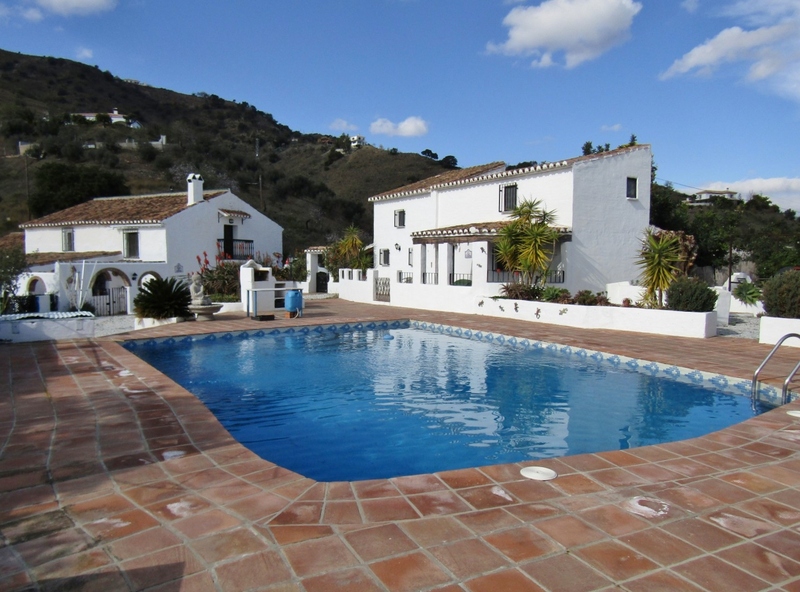 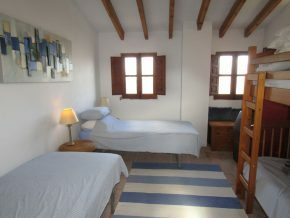 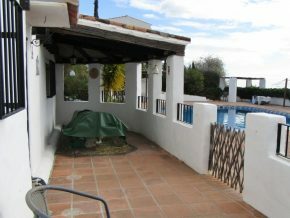 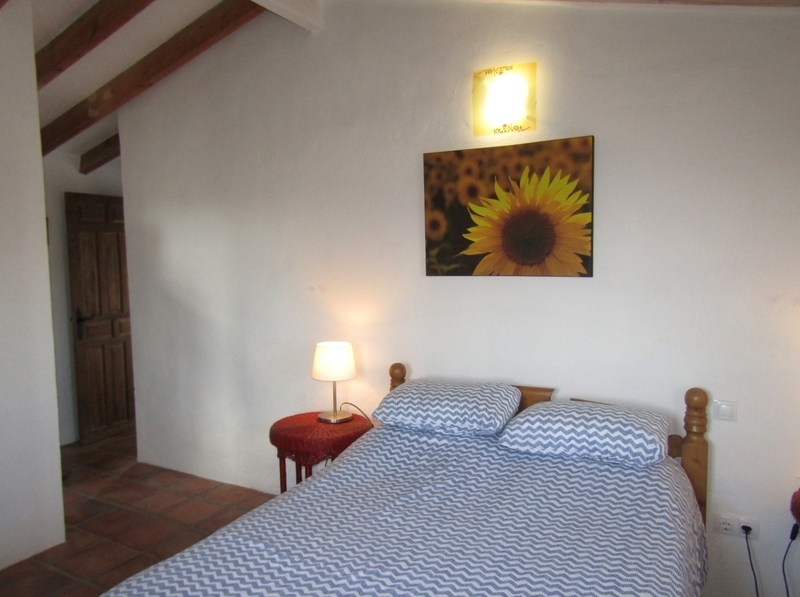 Located in front of the main terrace area and pool (70m2), is La Cuadra, named as such as it was once the stable. A part covered, part open terrace to the front offers a private area for the occupants of the house to sit and enjoy the atmosphere. 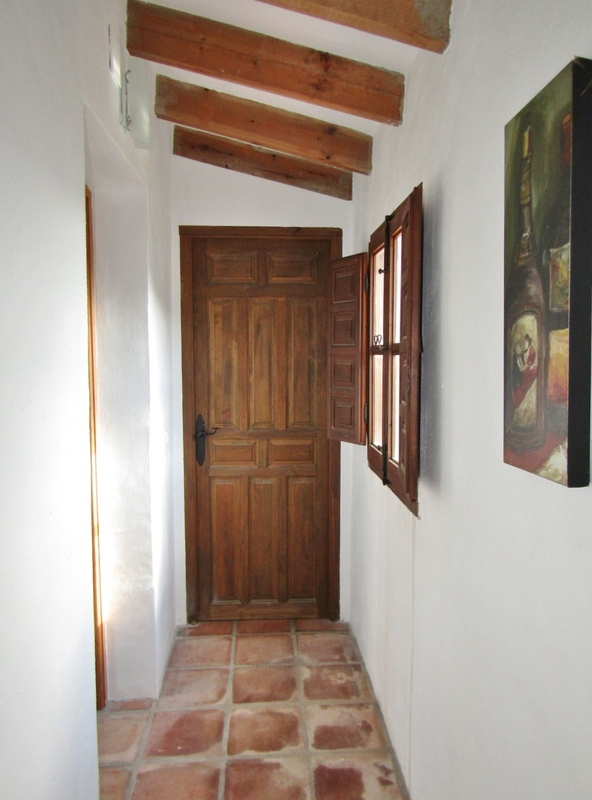 The front door leads into a large living room (6 x 3m) with a rustic style kitchen to the left (3.5 x 3m). 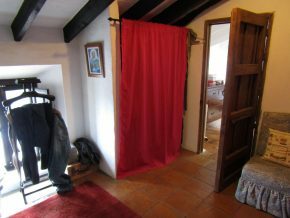 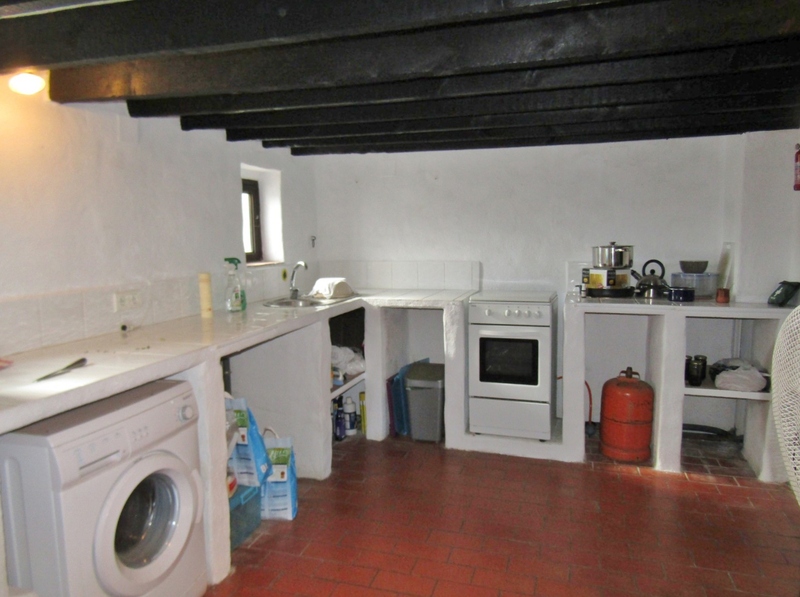 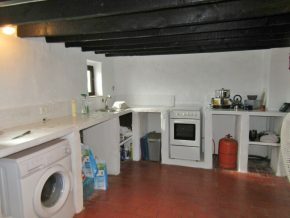 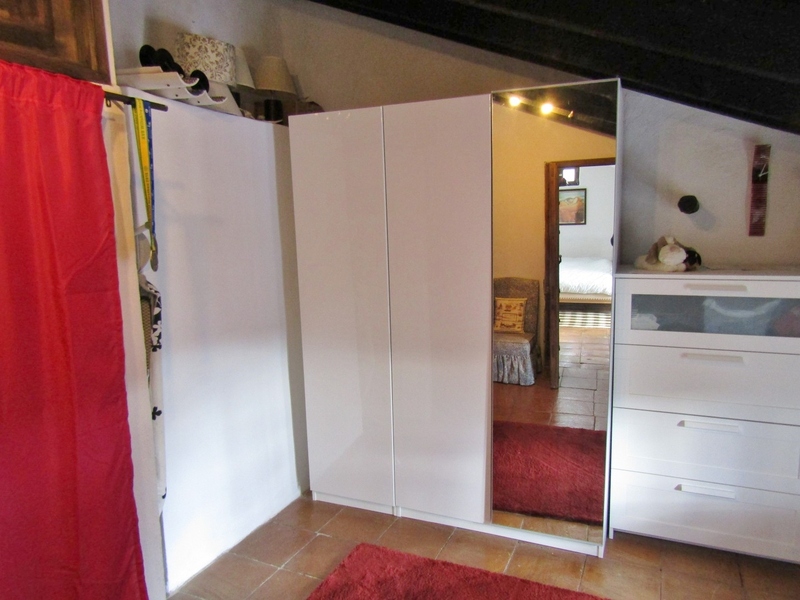 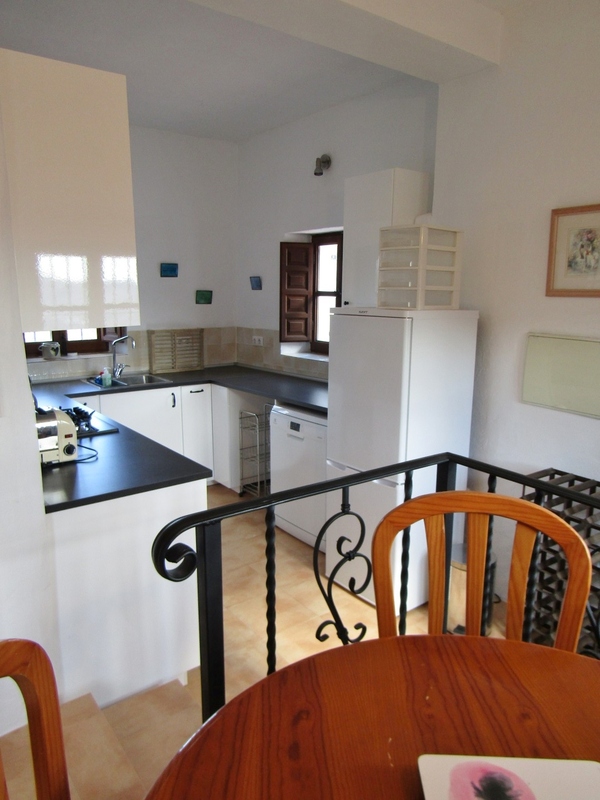 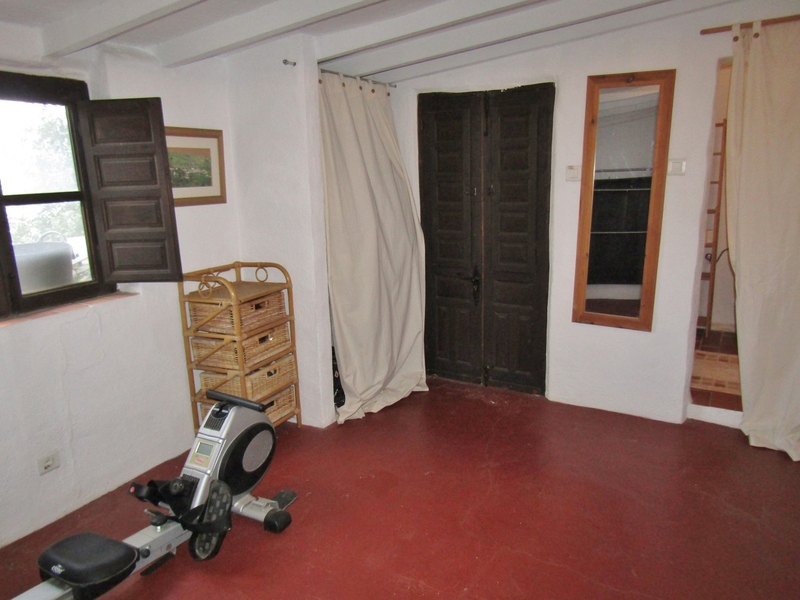 Beyond the kitchen is a door to a downstairs bedroom (red floor in the photos below) (3 x 3.5m) with an en-suite WC. 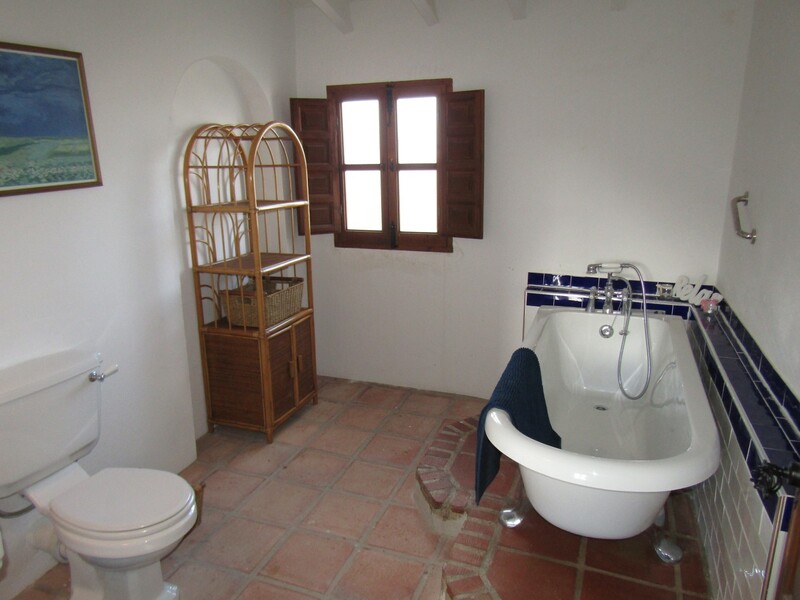 Stairs from the living room lead up to bedroom 2 (6 x 3m) with an ensuite bathroom of 3.5 x 3m, currently with a shower unit in one corner but this bathroom is very large and there is plenty of space to make it into a bathroom as beautiful as that in Casa de Sueños. 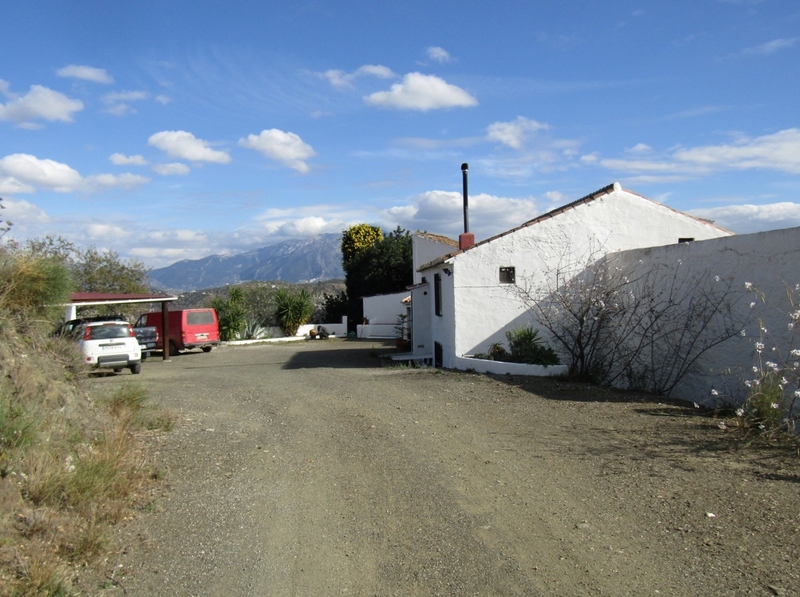 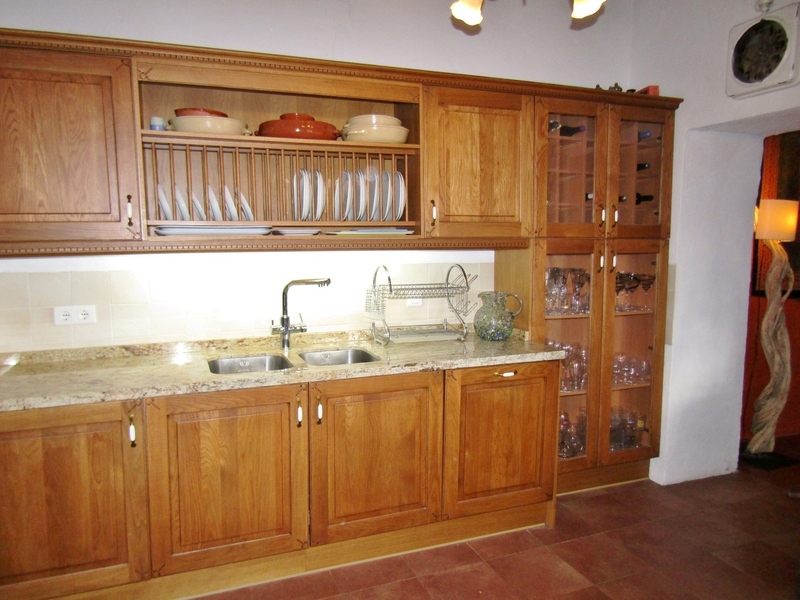 Next to La Cuadra is a gravel area with a large built-in barbeque unit. 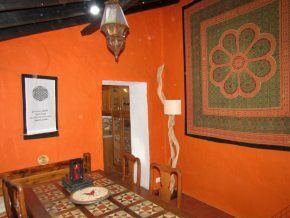 Casa Arriba has its own set of deeds, plot and entrance, and overlooks the main plot where the other two houses are located. 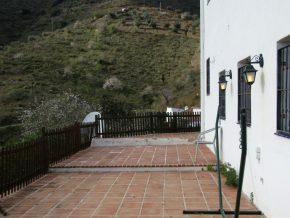 A path, just beyond the barbeque area, leads up to the large terrace area that surrounds Casa Arriba on all four sides, offering dramatic, panoramic 360º views. 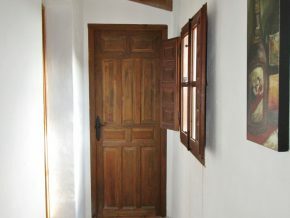 The front door leads into a hallway (2.5 x 2m), with an opening to the right to the stairwell (around 2 x 2m). 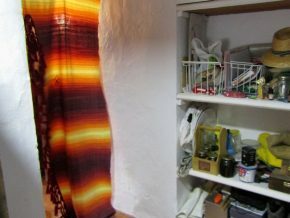 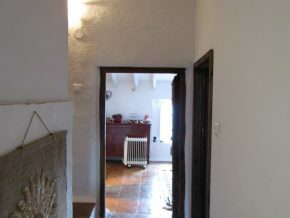 Straight ahead is an arch, through a thick wall, into the living/dining room, (5 x 4m) with woodburner set into the fireplace, and beyond is the fully fitted kitchen (5 x 3m) with a door outside. 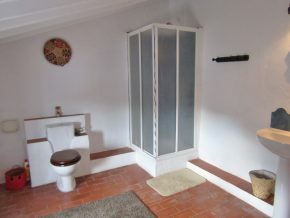 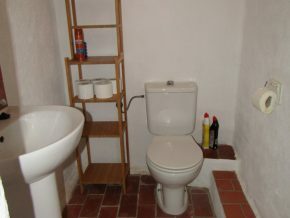 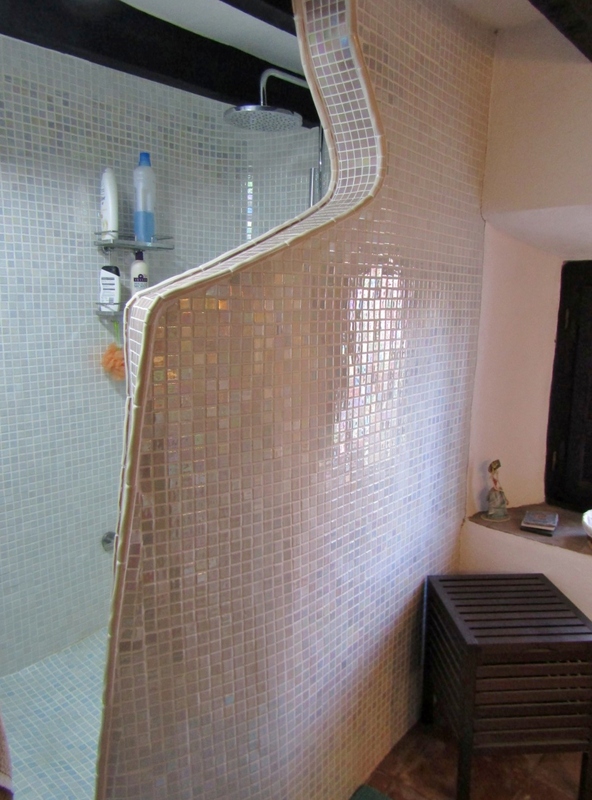 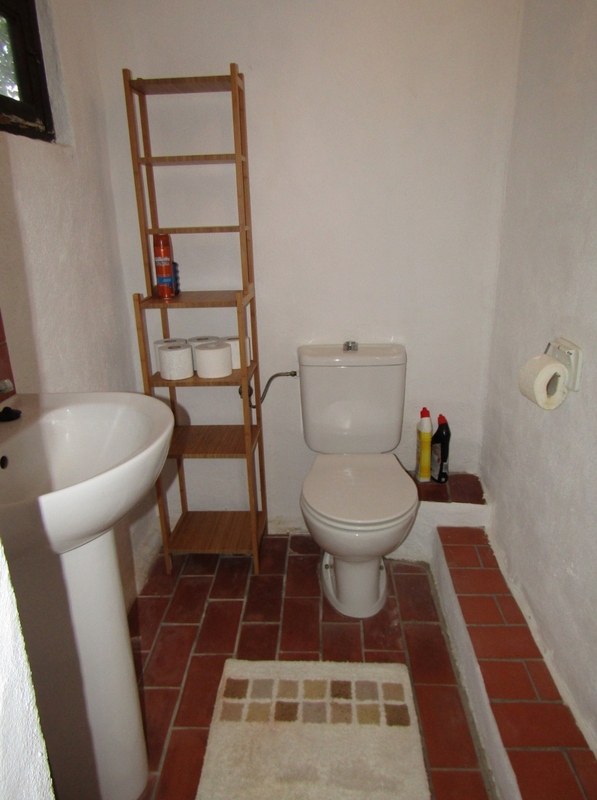 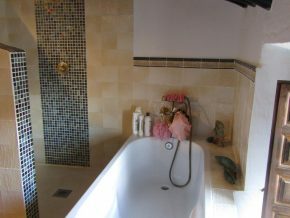 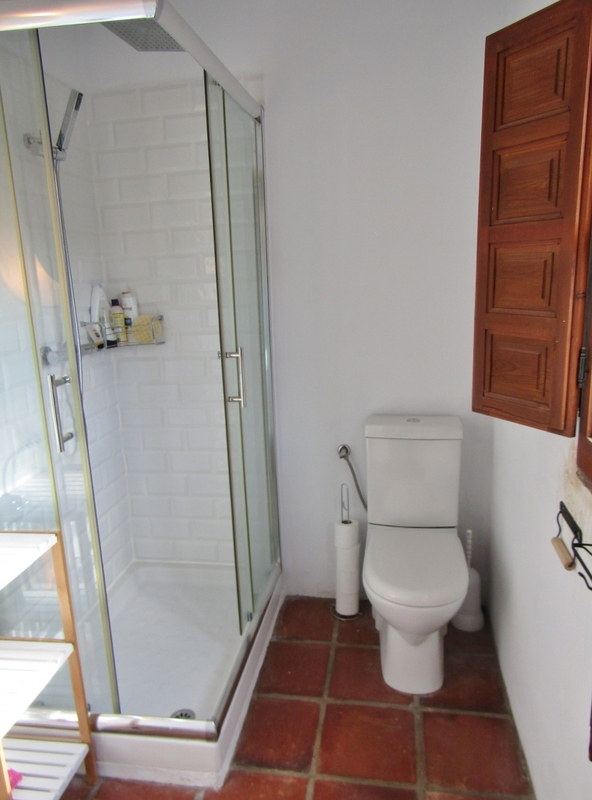 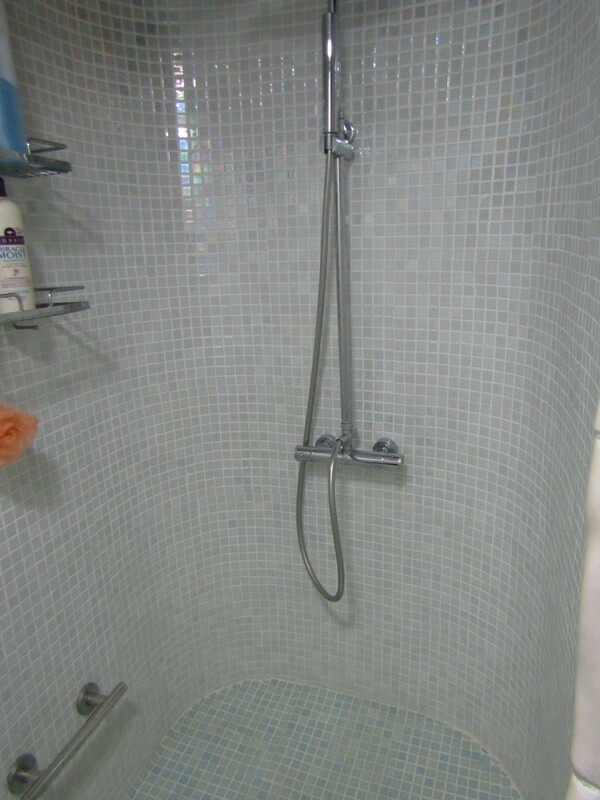 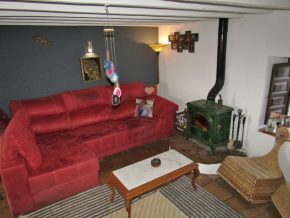 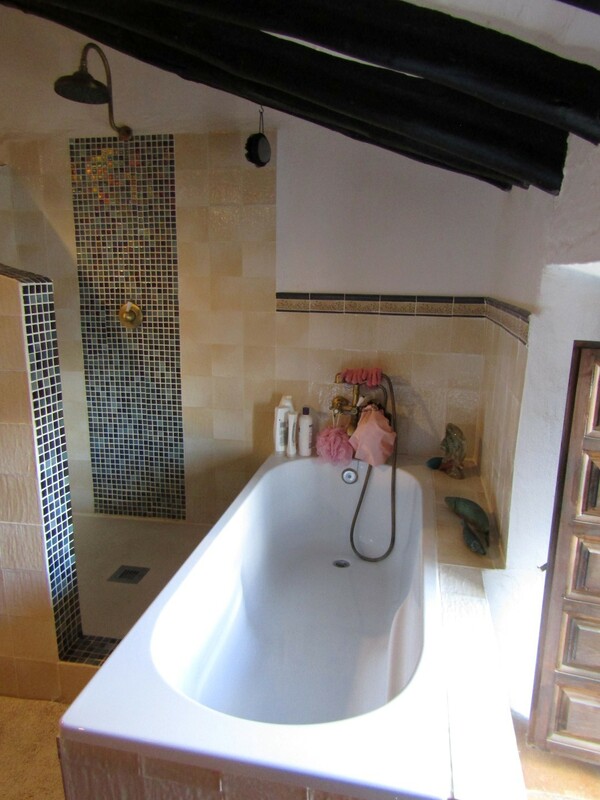 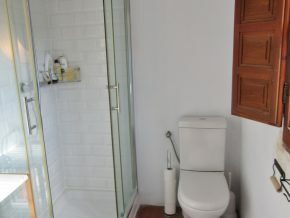 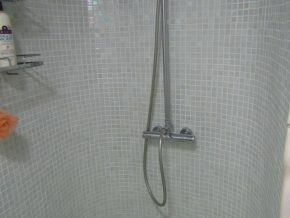 Upstairs there is a small landing (3 x 3m) with a beautiful bathroom to the left (3 x 2m) with classic freestanding bath. A short corridor from the landing leads to bedroom 1 (4 x 3m) and bedroom 2 (3 x 3m) plus ensuite shower room with a double walk-in shower unit (1.5 x 2m). 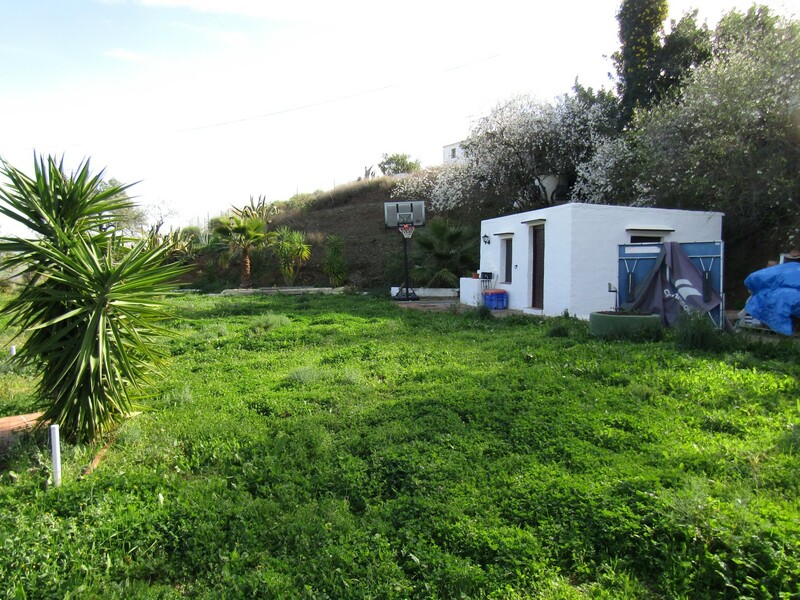 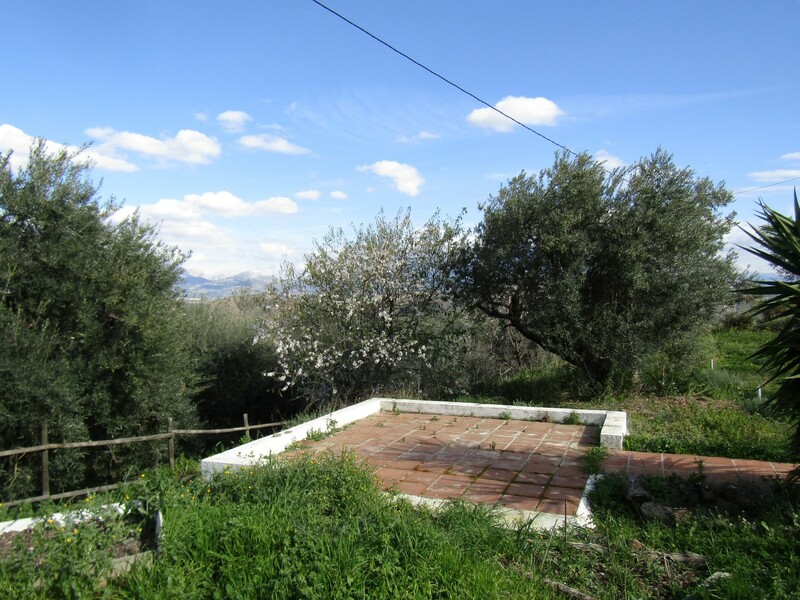 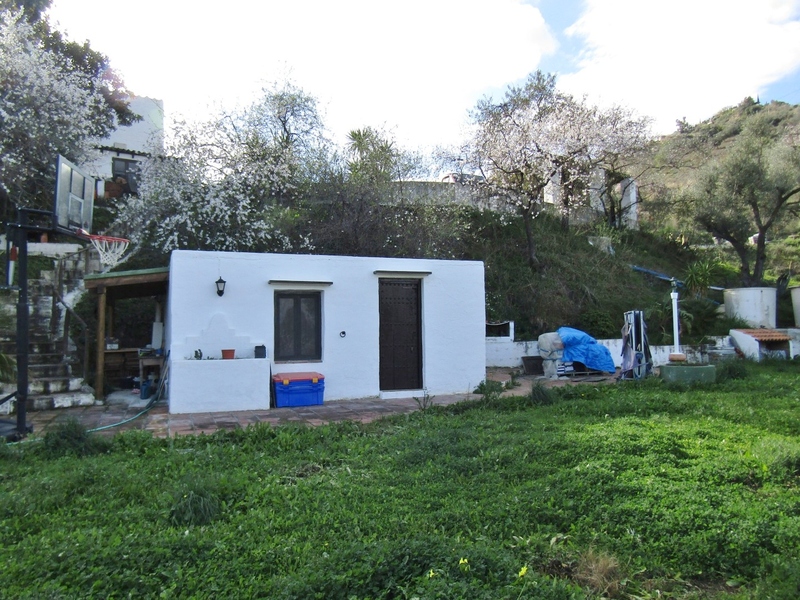 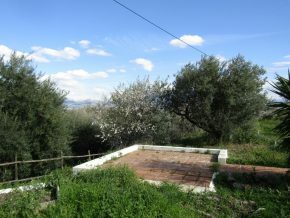 Behind the complex is land, on a lower level, consisting in part of an almond grove, and part a large, flat, grassy area, ideal for outdoor activities or growing vegetables, or keeping animals. There is a small outbuilding in this area that might be an animal housing area, or even converted into a bathroom/kitchen area should this flat area be used for a yurt, tents or similar. 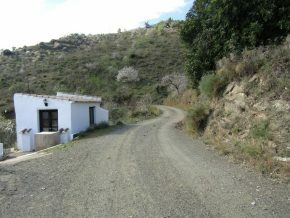 Below the road, well below the complex, is another smaller area of land. 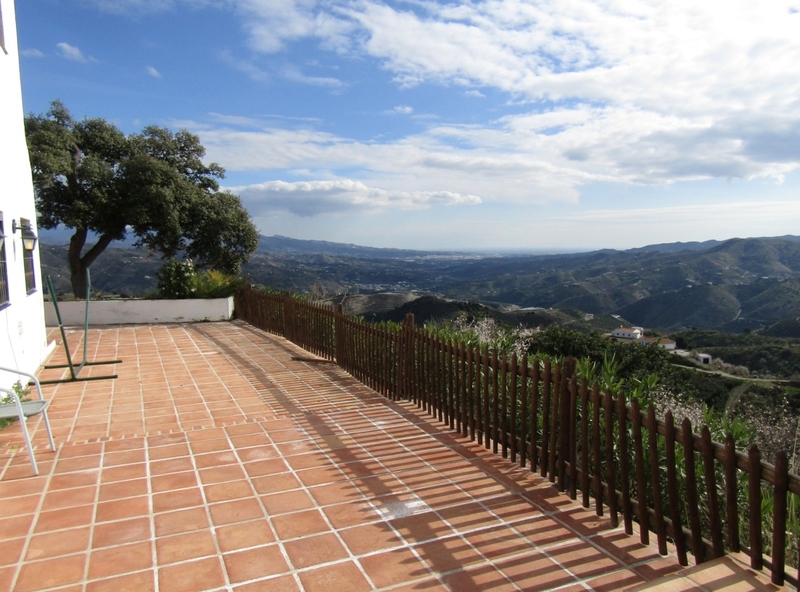 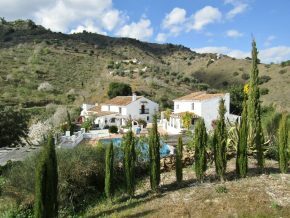 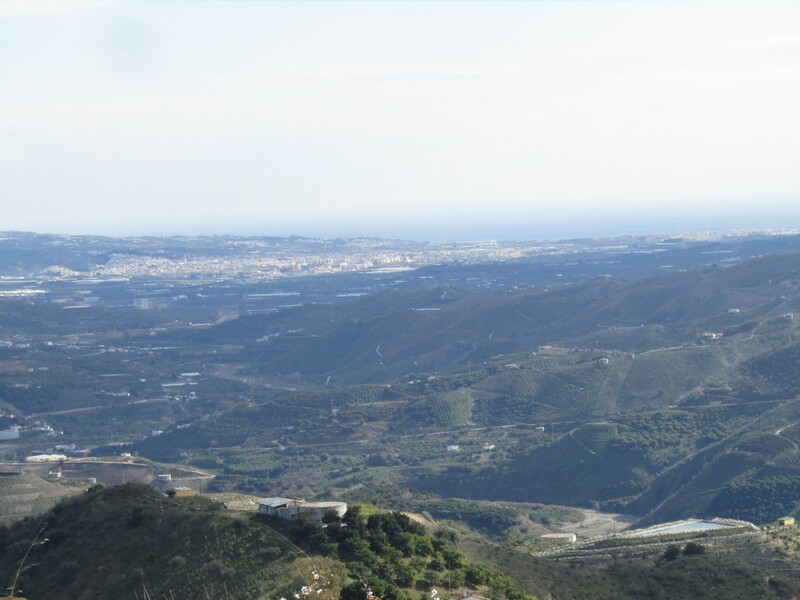 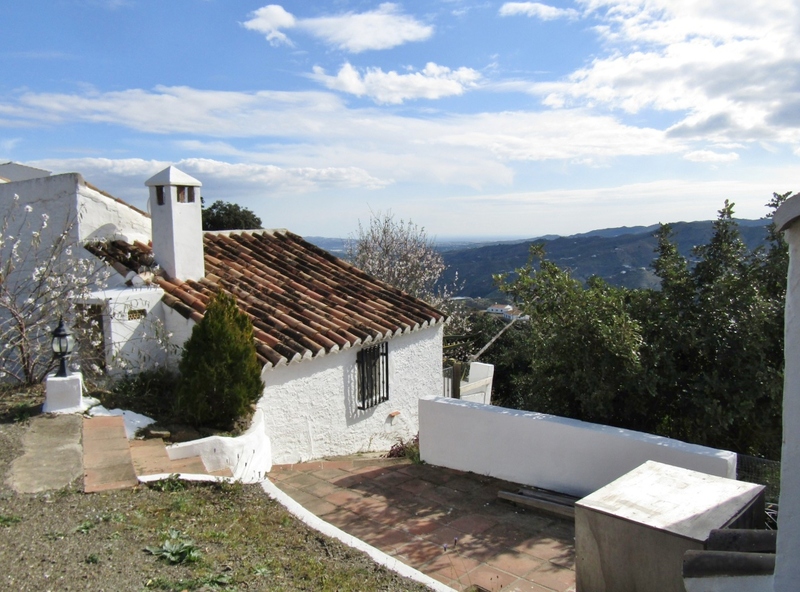 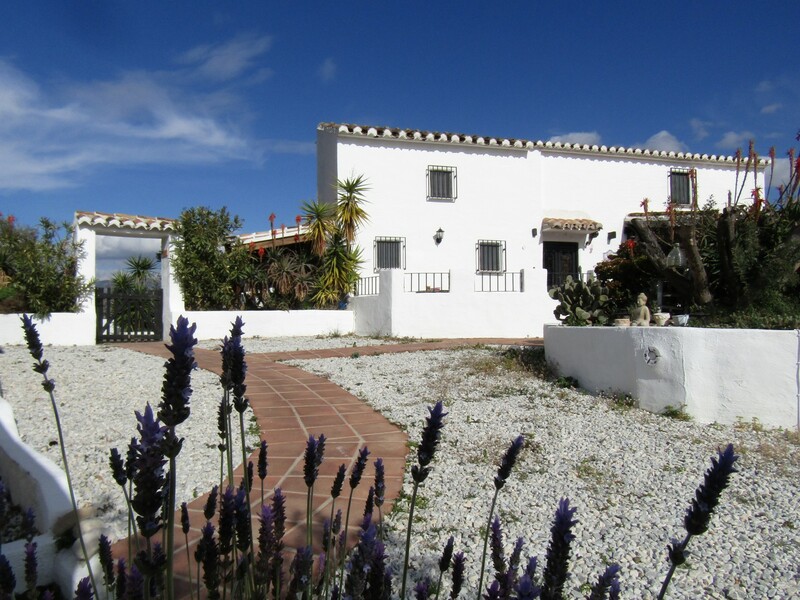 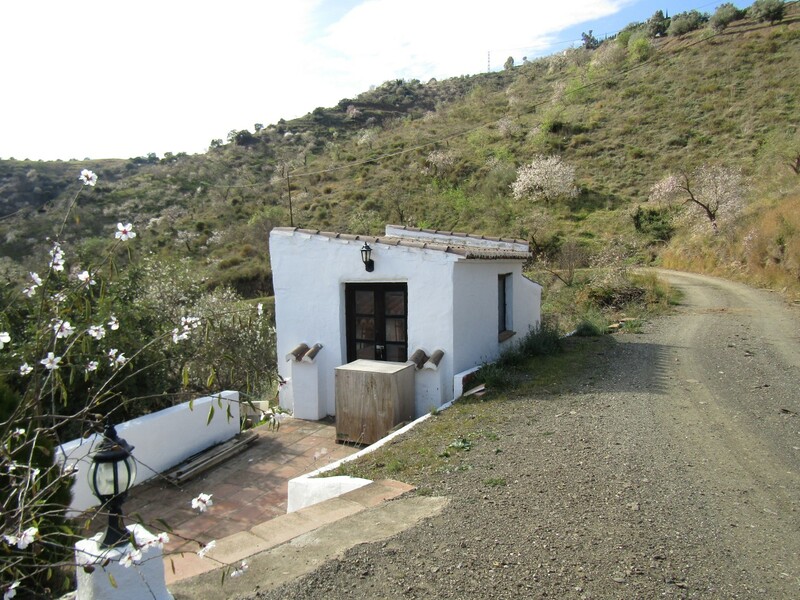 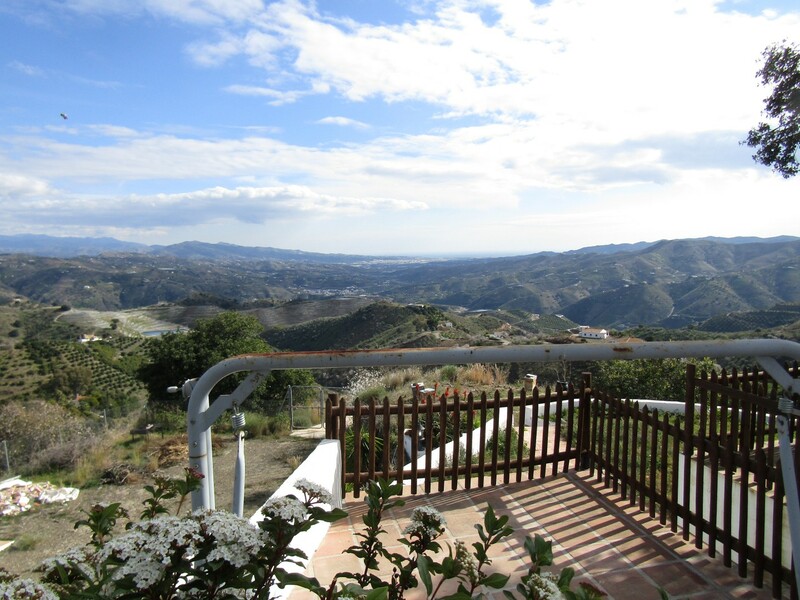 This stunning property is ideal for a small tourist, retreat or activity business, just a few minutes drive from Comares and within 30/35 minutes of the coast. 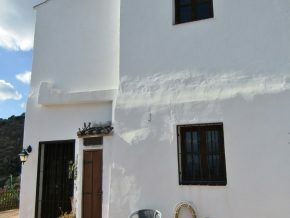 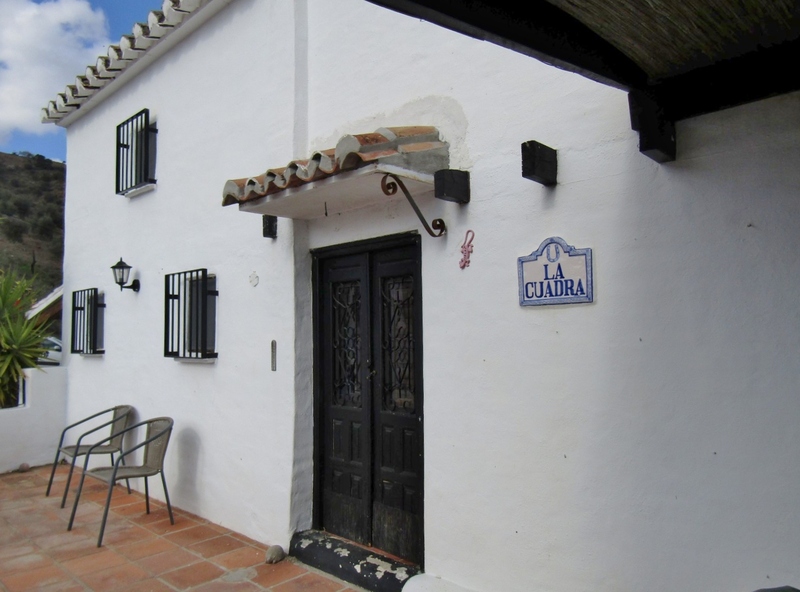 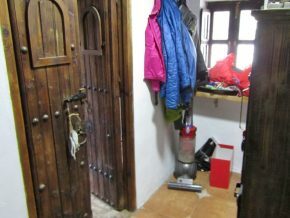 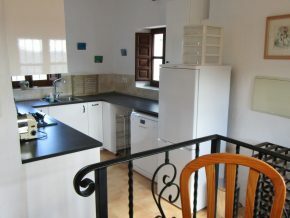 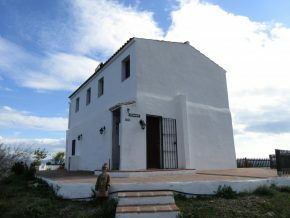 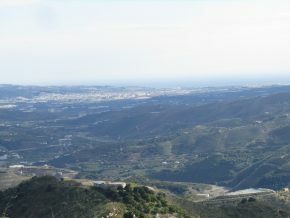 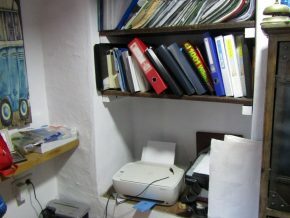 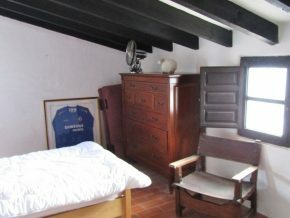 Casa de Sueños and La Cuadra can be bought without Casa Arriba: 430,000 Euros. – IBI: 514 Euros per annum. 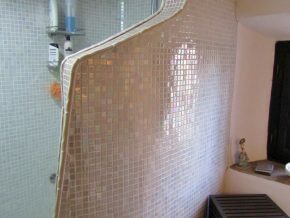 Click on the photos below to view full images.